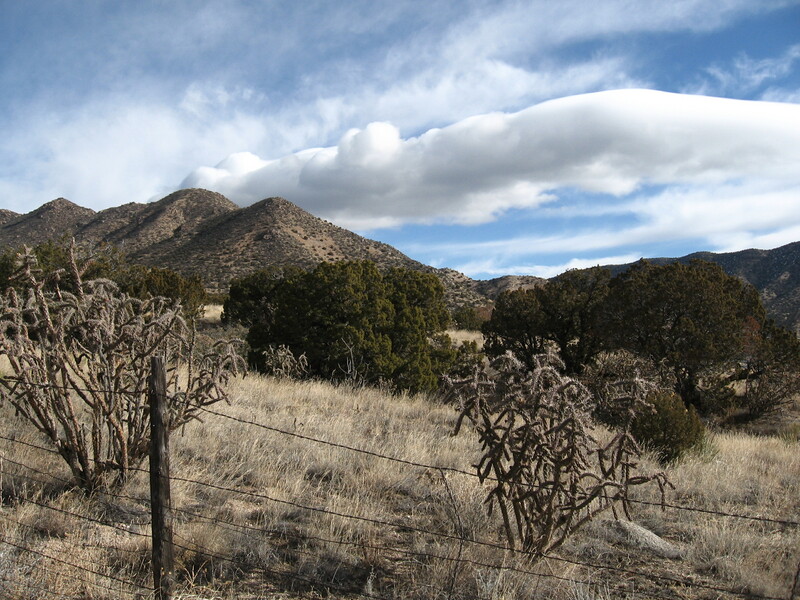 My bike club of the month for December is RA Racing Apparel / Trek from Santa Fe, New Mexico. They have the best chemistry of any club based on their organic creation. Born from a group of passionate cyclists who love to ride together, they’ll crystalize by racing together. I have a feeling they are going to make each other better, and provide a powerful addition to the New Mexico bicycling scene. They’ll certainly be a strong presence in Santa Fe exemplifying the ways of the bike life and elevating cycling yet another notch in our beautiful and bike friendly State capital. Like them on Facebook to follow their high class bicycling action. Have fun. This entry was posted in Bike Org of the Month, Uncategorized on December 31, 2014 by bikeyogiblog. After spending a nice Christmas at home Mai and I took a land cruise in our Rav4 down south to explore a few spots: Three Rivers petroglyphs, White Sands National Monument, the new Organ Mountains and Desert Peaks Monument around Las Cruces, the old Mesilla plaza, with a stop at the Bosque Refuge on the way back. We left the bikes at home to keep it simple and rejuvenate for the new year. We had a splendid time with many eye opening vistas into this country’s enormous charm and diverse beauties. The scenery from driving is good but the landscape doesn’t fully sink into you until you get out and walk into it. The deeper memories are born by immersion outside focusing on lighting, colors, sounds and letting things register. 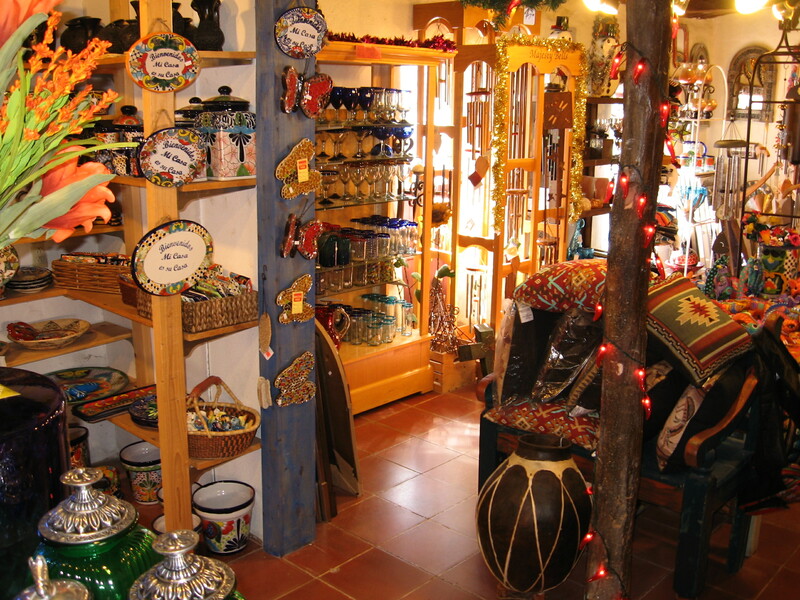 Every place we visited impressed us and made us want to come back for more. Cranes arriving to their night spots. 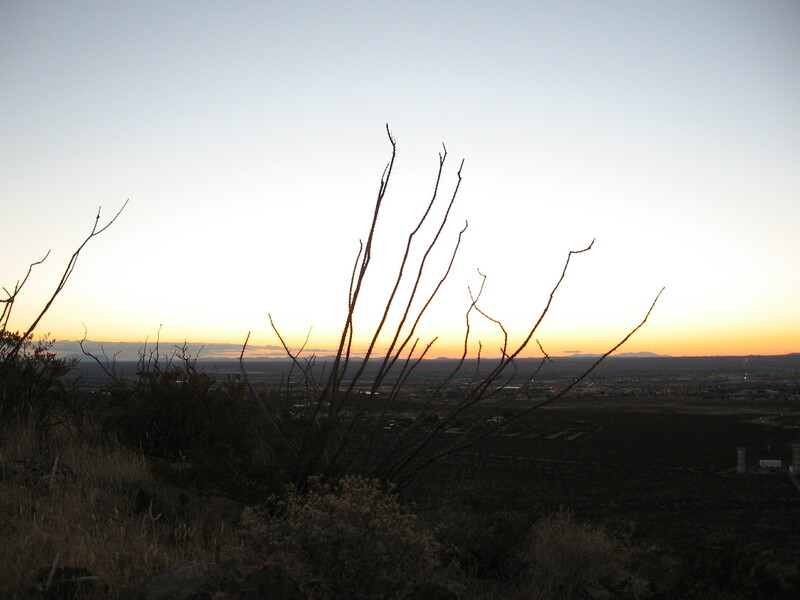 Voices of coyotes yipping at sunset, reverberations of cranes cooing, stories told by human voices. The smell of wet creosote bush. The bite of cold air. The prick of a desert plant. The warm brush of sunlight on my skin. 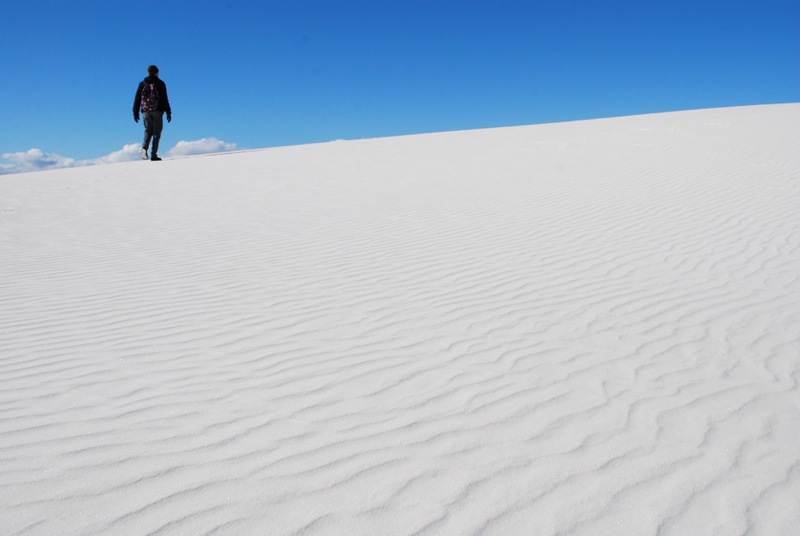 Taking walks in New Mexico is a great way to get to know the residents and let the landscape work on you. There’s way more here than what I could have imagined. 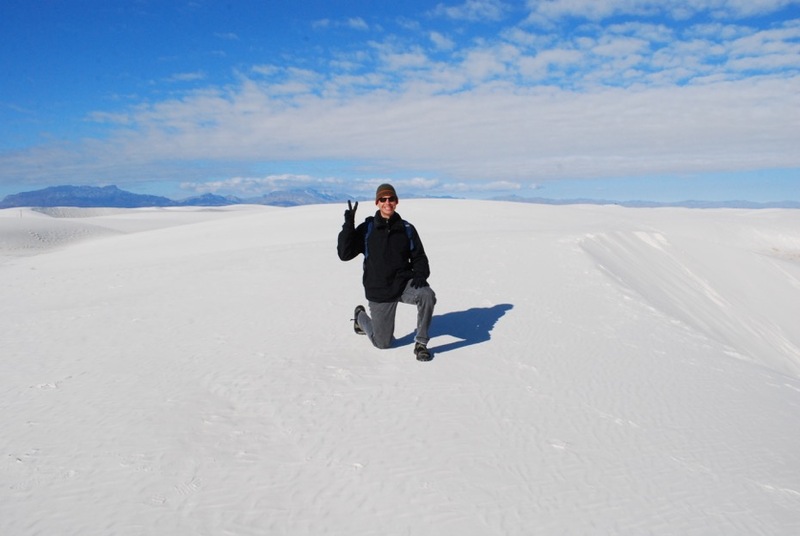 This entry was posted in New Mexico, Walking on December 29, 2014 by bikeyogiblog. Bicycling is my secret love. It is not my only love, but fits right in with all the others. It gets me outdoors to explore. 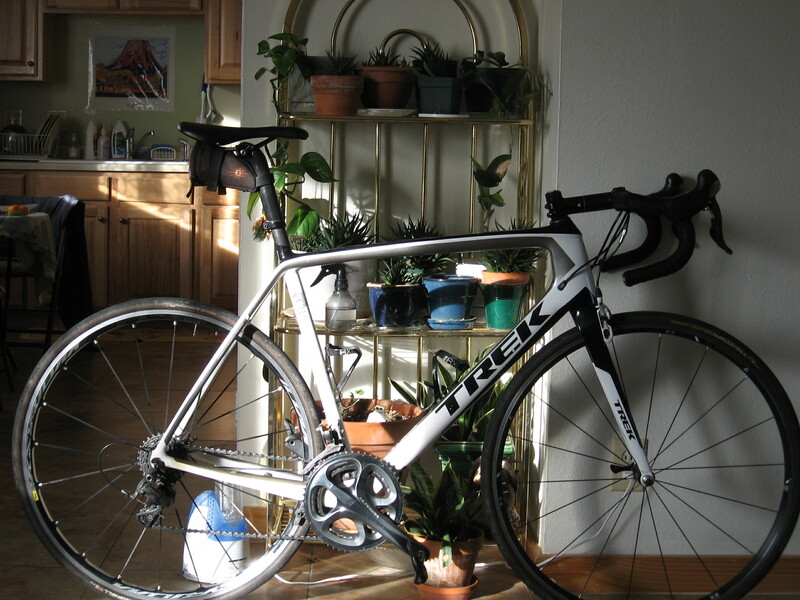 For the last year my only bike has been the Landis-Trek team Madone. It has been an absolute beauty. I’ve had a lot of bikes before but this one is the best. It’s comfortable, completely intuitive to ride, and infinitely trustworthy. No flex in the frame. It is always perfect to ride. I even like the Bontrager saddle that came with it. Just ride. I’ve been riding along the river trail and connecting ones such as Diversion and Paseo del Norte. 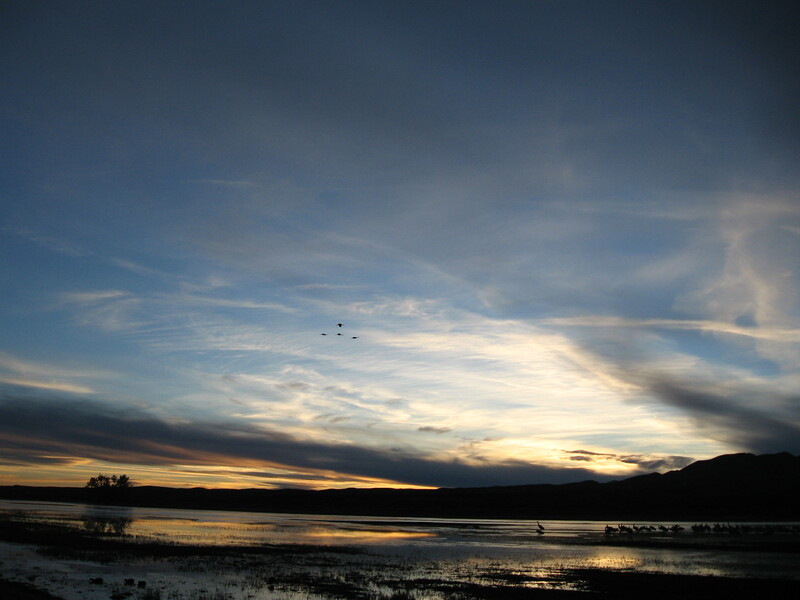 These trails are great for relaxing cruising, recovery and discovery. And then I’ve been riding the foothill finger climbs which give me an amazing workout. 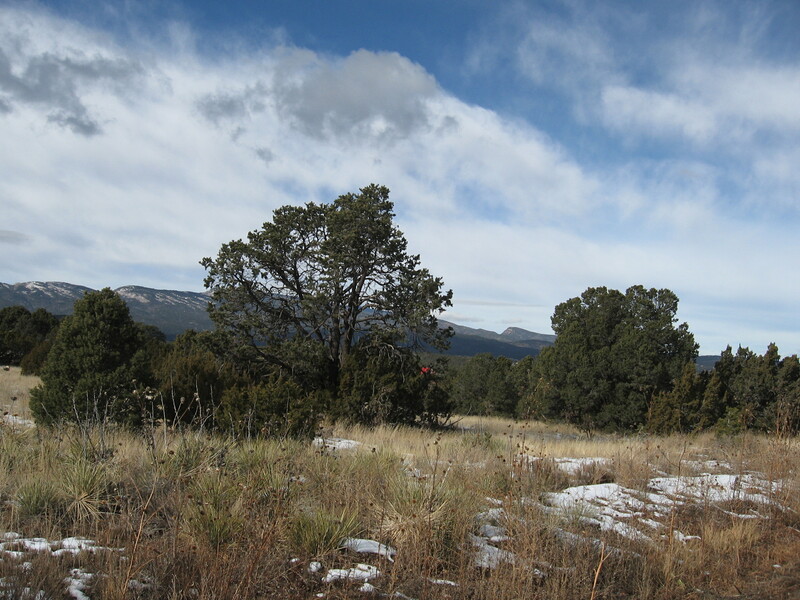 Today on the solstice I decided to head back out Tijeras and see what life was looking like on the east side of the mountains. “Monticello: Nature and Neighbors living Together” which is nice to say, but how else would we live? I’ve been taking a lot of rides and focusing on being there 100%. But today with the camera back in my pocket my eyes opened up again to the landscape around me. Photography is kind of like writing an essay or letter to a friend. It helps you engage in the process of paying closer attention to the way you observe and approach the world. You end up realizing the depth of what is around us is extraordinary and nuanced. Even on a blustery and bleak winter day. I find all the landscapes here captivating but there is something about being close to the mountains in the high country that is most entrapping. Perhaps it is the austerity of the clear blue sky and windswept rolling terrain. 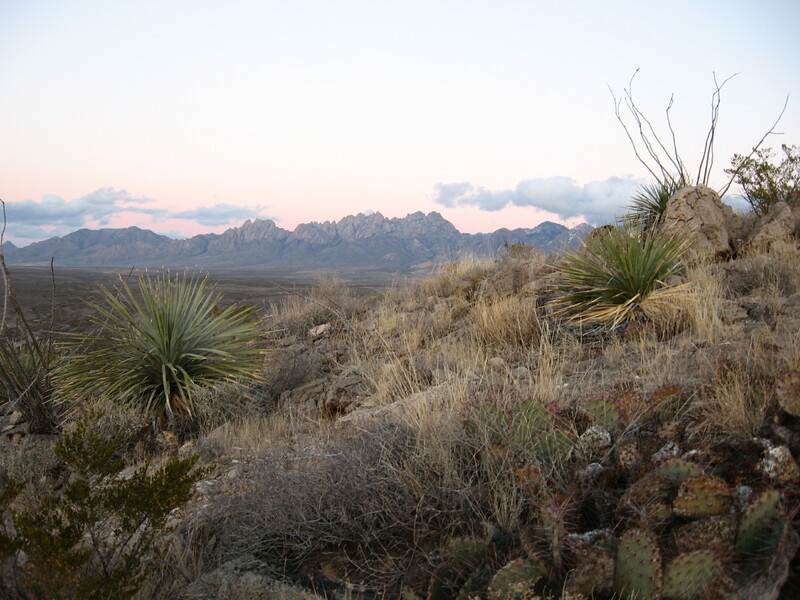 The best thing about living here is the sheer variety, from lush riparian habitat along the Rio Grande through the delicate desert to the alpine mountains, and everything in between. I love to linger. Take time to see! Biking is a great way to be a small part of the big scene, this beautiful composition of living land. This one bike takes me everywhere. 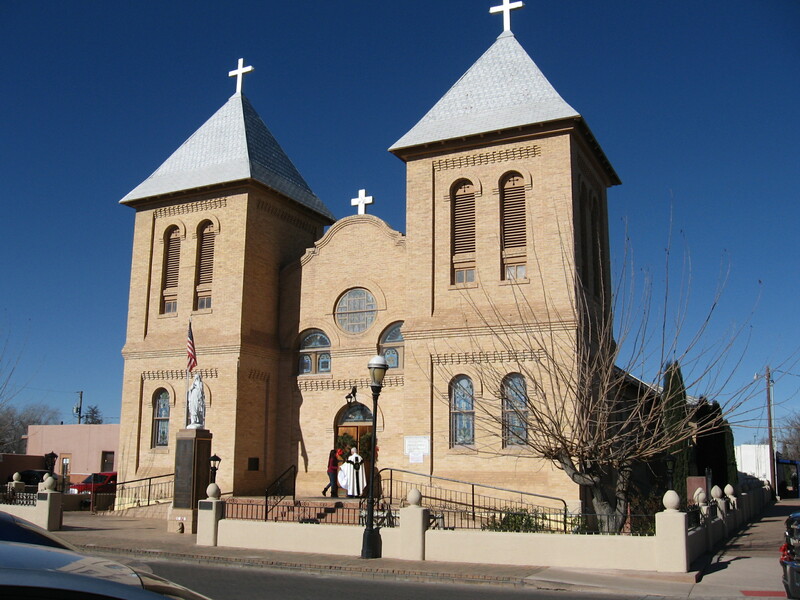 I rode it downtown, along the river, through the university campus, in neighborhoods rich and poor, on the bike path, over dirt roads, in the countryside, through the canyon, up the climbs, across the mesas, by the foothills. 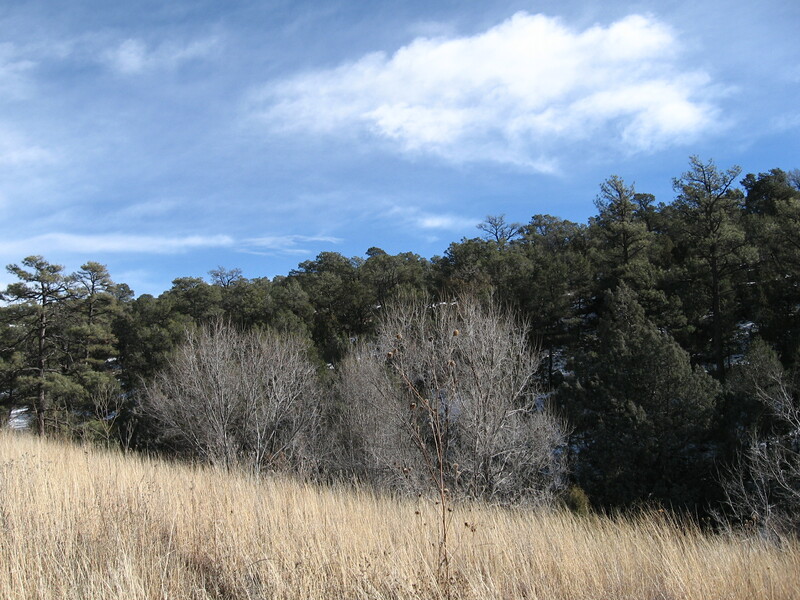 Albuquerque is a great place to ride a bike throughout all seasons for all reasons. Now my love is not so secret. 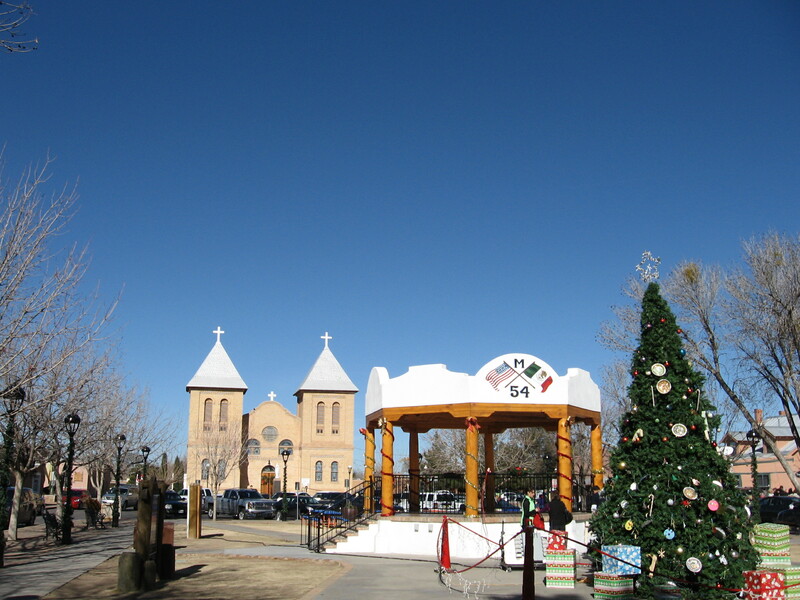 This entry was posted in Albuquerque, bicycle rides, exploring by bike on December 21, 2014 by bikeyogiblog. 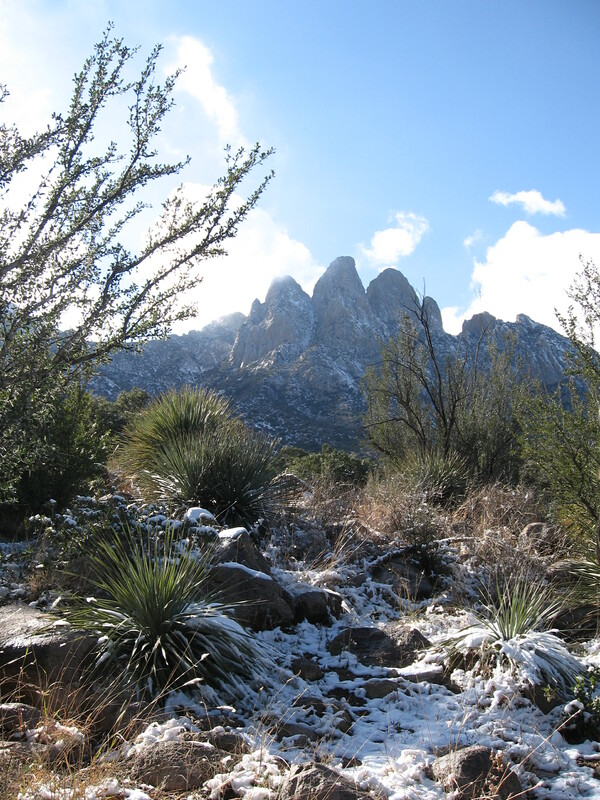 There’s a Place for Us Somewhere and for us climbers in wintertime it is on the Sandia Foothills Finger Climbs. Banked up against the Sandia Mountains above Tramway Blvd on the eastern edge of Albuquerque are a series of roads that follow the skirt of the mountain higher and higher. 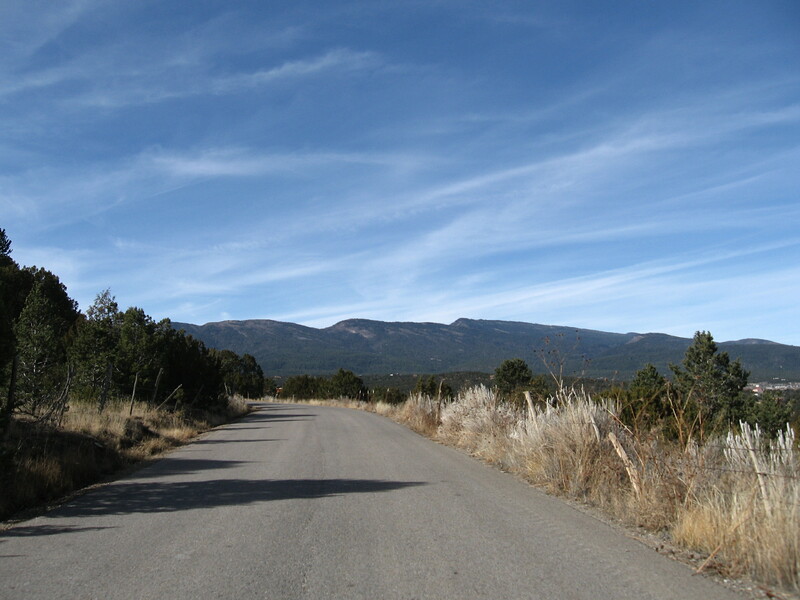 These roads east of Tramway end at the open space and wilderness areas encompassing the higher elevations. Riding this sequence of finger climbs provides the perfect bicycling hill climbing workout and is a great way to build power and resiliency in the legs, heart and lungs. I met up with regulars from the New Mexico Touring Society bicycling club for their excursion of the foothills climbs. These folks know how to plan out a ride to garner the full rewards of bicycling. They set a steady tempo, took time to enjoy the views at the top of climbs and partake in conversations. They showed me the way and warned me of all the tricky descents, and taught me history while we rode. Thank you Eric and Dave for guiding me on this good ride! 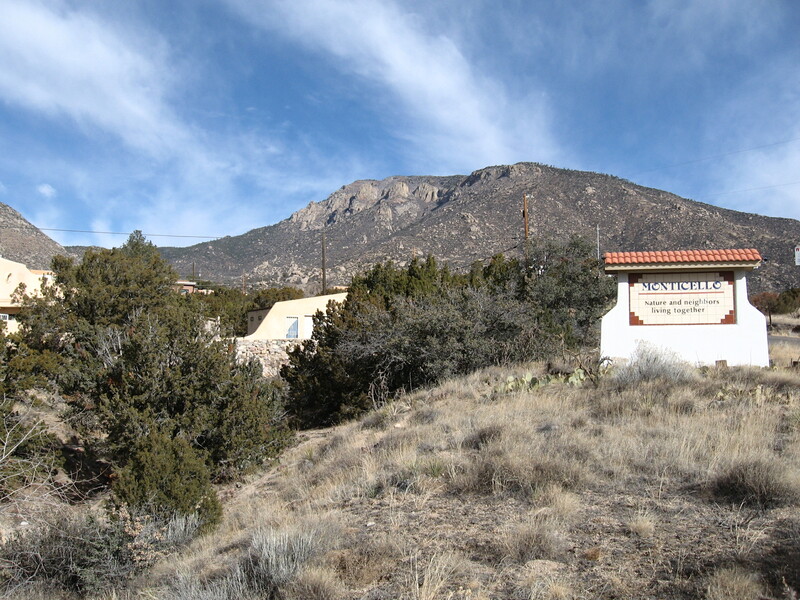 We started at Forest Road 333 (La Luz), then did the next climb over to the La Cueva picnic area, then the climb to the Tram base, working our way through the scenic Sandia Heights neighborhoods on sinuous back roads southward. Halfway through the workout you entertain thoughts of what’s for dinner and whether you are going to fall asleep on the couch or in bed afterwards, but there is just enough time to recover between climbs and regain your mojo to tackle the next one. There is a sense of honor that this workout should be done properly, and you know the climbs are not super long so you can muster up the gusto to take on the next one. For my style of riding this workout is a game changer. Over the years I’ve developed a pretty good ability to hold a hard steady pace up long climbs. Mostly this is due to my proclivity for entertaining myself by going out on the bike and riding long mountain roads. In Reno where I began bicycling my favorites were Mt. Rose highway to Lake Tahoe, Geiger Grade to Virginia City, and Mt. 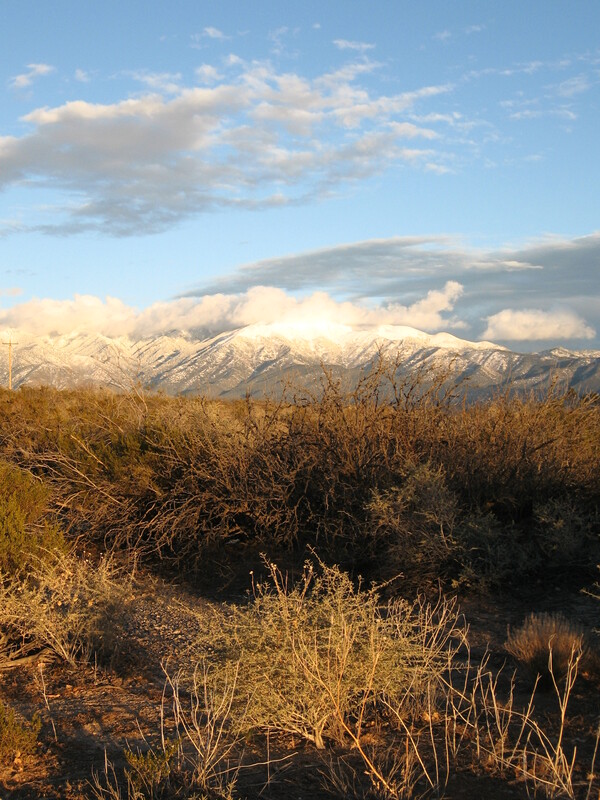 Peavine , the beautiful easternmost extent of the Sierra Nevada marking Reno’s northwestern shoulder. In Flagstaff I rode Mt. 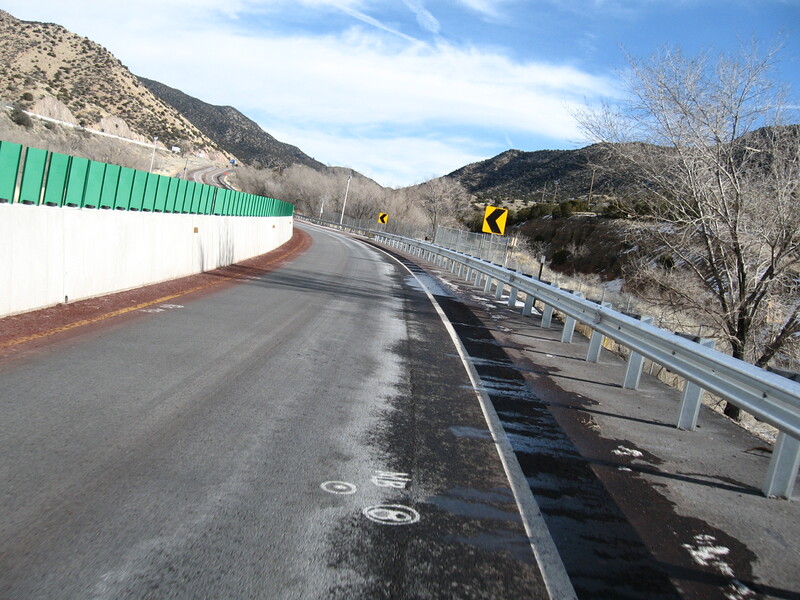 Elden, Snowbowl Rd., and other climbs like Waterline Rd. 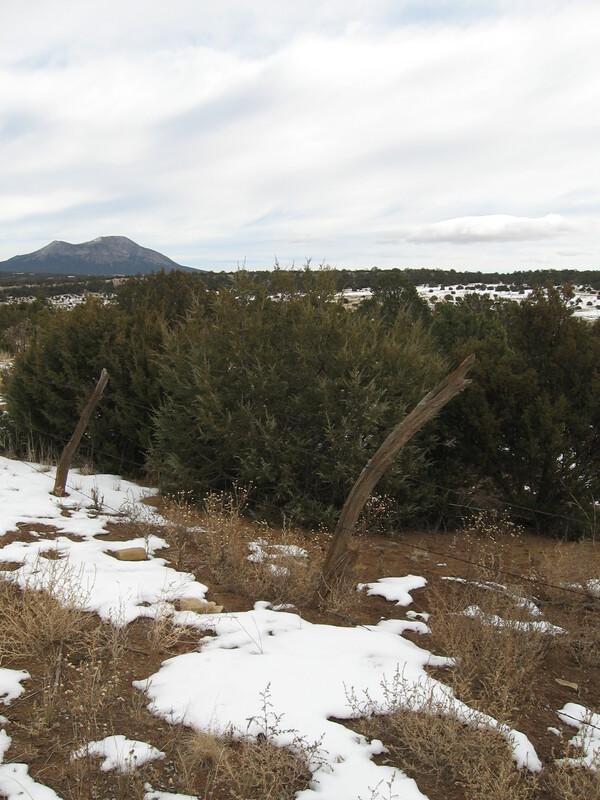 on the backside of the majestic San Francisco Peaks. Long climbs are great for building a big aerobic engine, but they don’t truly develop the ability to attack or lift the pace repeatedly, or achieve absolute power. The shorter climbs are better for training this resiliency and ability to change tempo because they allow you to recover in between efforts and then attack the next hill with sometime close to peak power. On the long climbs you tend to just grind it out. In Reno and Flagstaff if I wanted to do shorter climbs I’d have to do repeats of lesser roads. Repeats can be a bit of a mental bummer which is one reason I’ve never done them regularly. 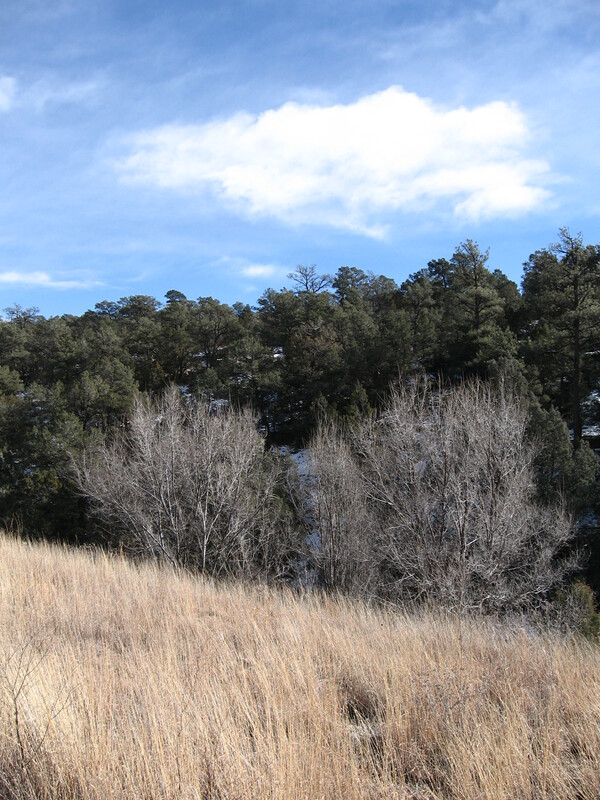 With the Foothills Finger Climbs you can get over 4,000′ of climbing without doing a single repeat. It is entertaining, invigorating, and fun! The air is very clean up at the mountain’s edge and the traffic is light. 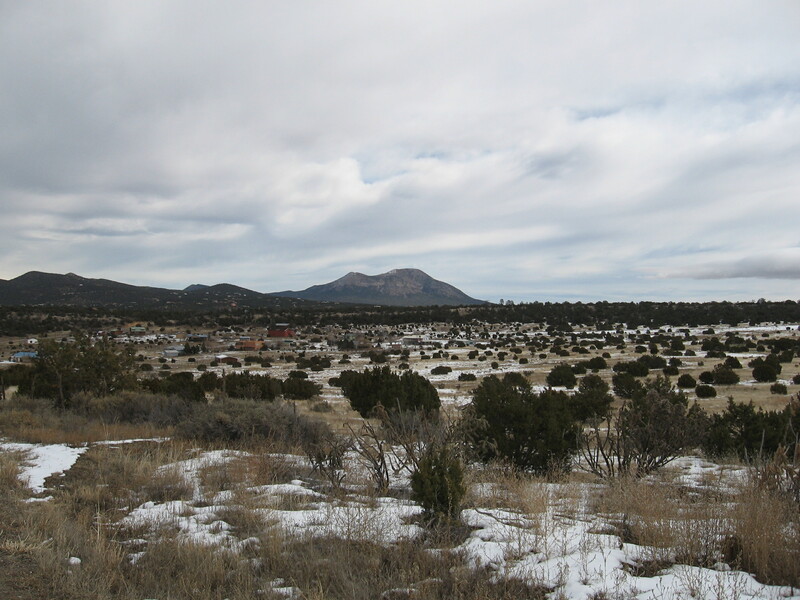 You get a million different views of the mountains and the city below, the far away western mesa, the blue dome of sky and vistas beyond. You don’t utilize any busy roads and can take the Tramway bike path for any segments that can’t be traversed utilizing calm neighborhood streets. You slip through quiet areas regaining your legs and breathe as you string together the wonderful sequence of finger climbs. This training route is an Albuquerque gem! Time flies by when you’re riding up there, in part because the ride has so many culminating peaks. The quick zooms down the descents are a bonus too, for their brevity ensures you won’t get extra cold, as can happen on big, long mountain descents. What a wonderful ride that stands out above and beyond anything I’ve ever done. I’m so glad I live here. Winter climbing fun! 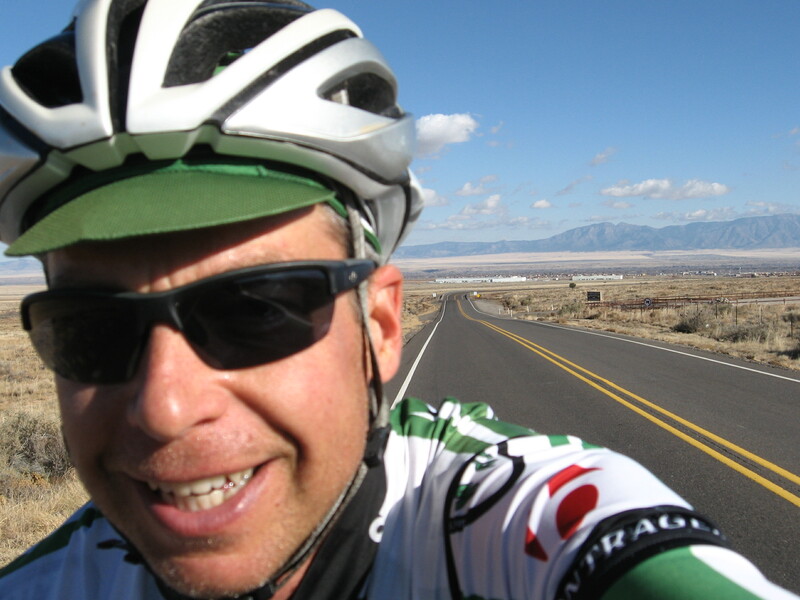 This entry was posted in Albuquerque, bicycle rides, training on December 16, 2014 by bikeyogiblog. 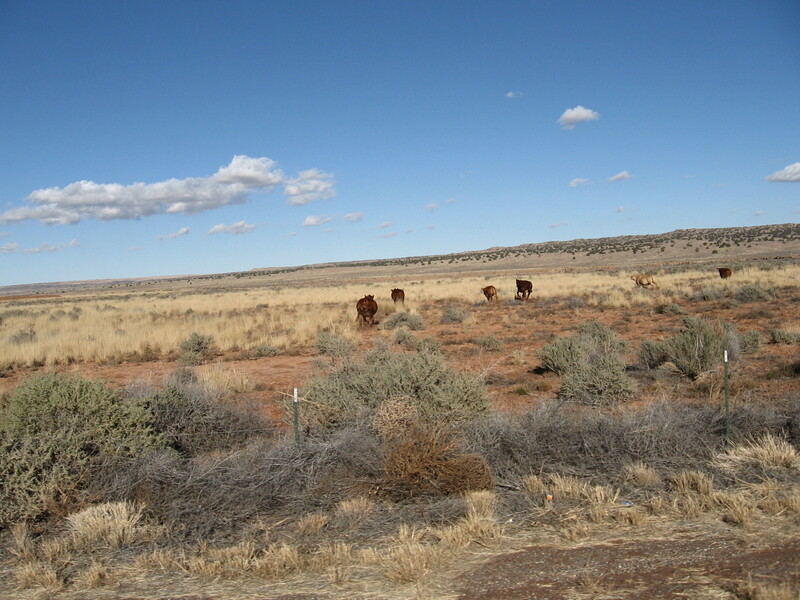 Ride Description: This is about a two hour ride from the eastern edge of Albuquerque. 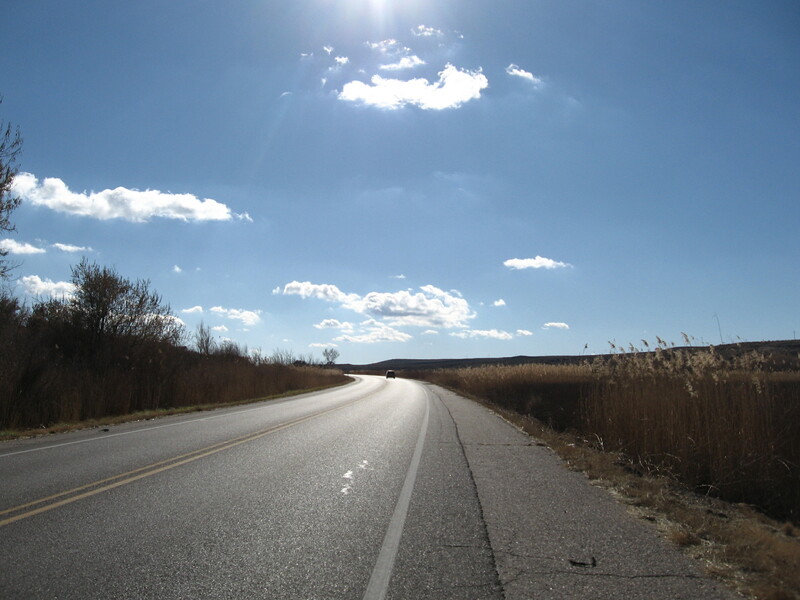 This route soothes my soul, offering great pedaling enjoyment across rolling terrain that is quiet and relaxing. 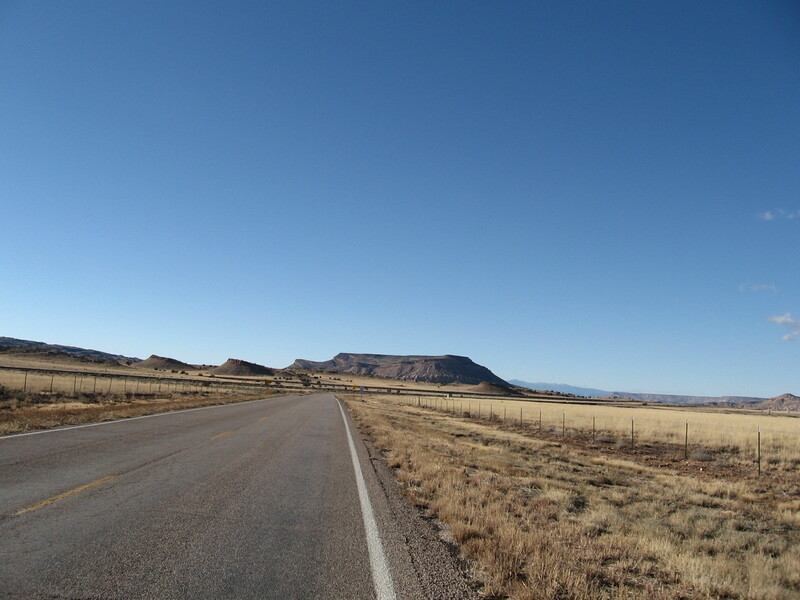 A ride that refreshes, offering many of the highlights of what we bicycle for: To change our scenery, see beautiful countryside, meet our neighbors out on the road, a chance to see wildlife, and breathe fresh piñon scented air while taking in great views of the surrounding mountains. It replenishes the nervous system, elevates well being, and builds resiliency in the body and mind. Oh yeah, if you’re training for a triathlon, charity or fund raising bike ride, building aerobic capacity and endurance for your chosen sport, or just getting your daily outdoor time or workout, this is a great place to get fit. 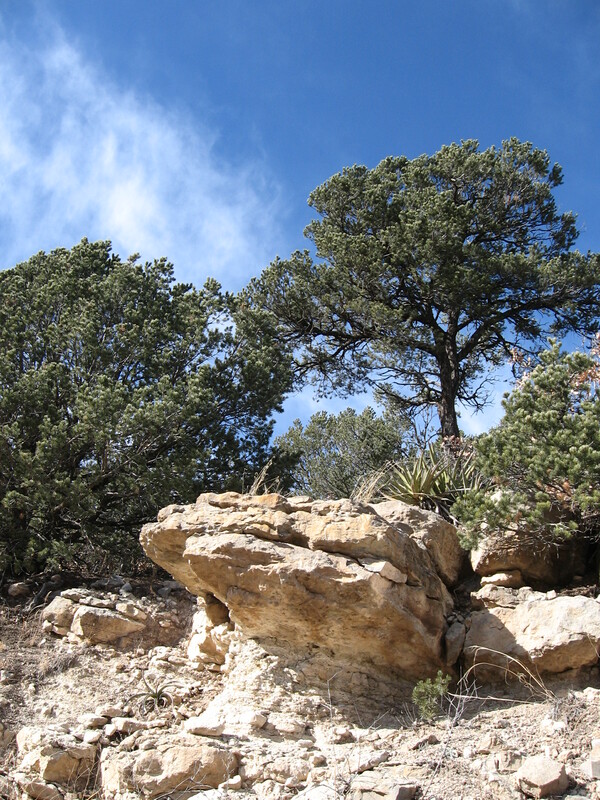 The altitude ranges from a mile high to nearly 7,000′ above sea level. Pure simplicity. A bike, a road, you ride in beauty The speed limit on Gutierrez is 25mph, 15mph around corners. I remember watching Breaking Bad’s creator Vince Gilligan being interview by Charlie Rose. 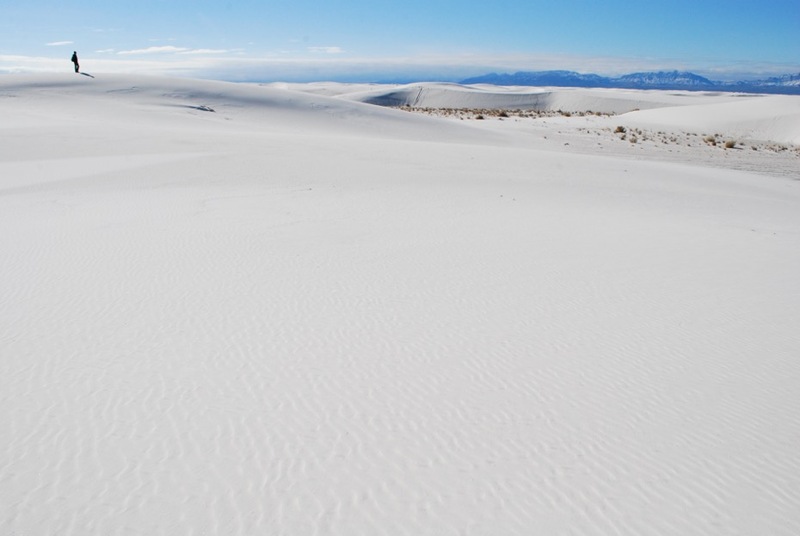 When asked about his time spent filming and living in Albuquerque, Mr. Gilligan remarked that one of the most wonderful things about Albuquerque was in ten minutes travel time from anywhere in town you could be out in what felt like the middle of nowhere, wild open spaces. That open space was unique and worth preserving, he thought. An orientation towards the charm of the landscape is not only healthy for the film industry and lucrative for the economy, but also cherished by outdoor loving people living and visiting here, part of the fabric of our quality of life. Albuquerque has an urban charm enhanced by those unbeatable soft desert nights when the arid atmosphere makes colorful city lighting look so pretty. 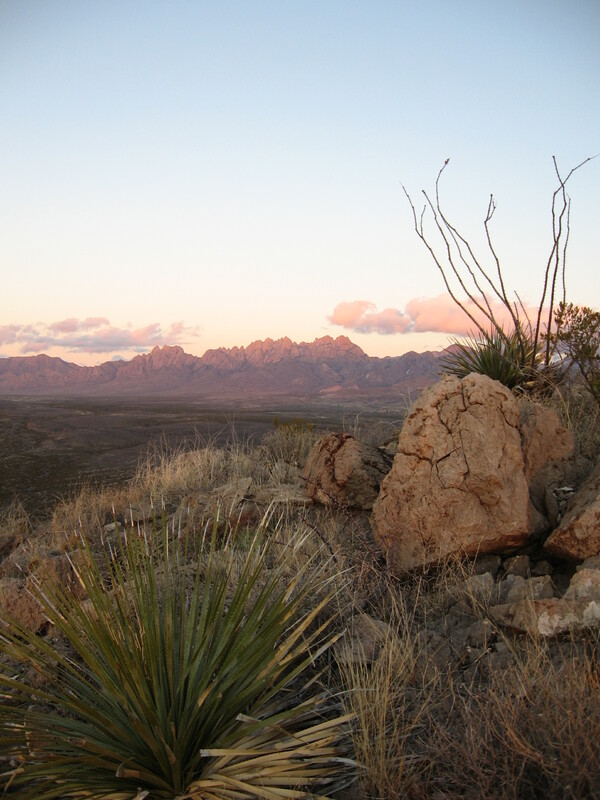 When coupled with the surrounding open and wild spaces on the river, in the grasslands and desert, and up towards the cholla covered mesas blending into the juniper and piñon forests all the way to spruce, fir and aspen forests and mountain tops high above, this place is incomparable. 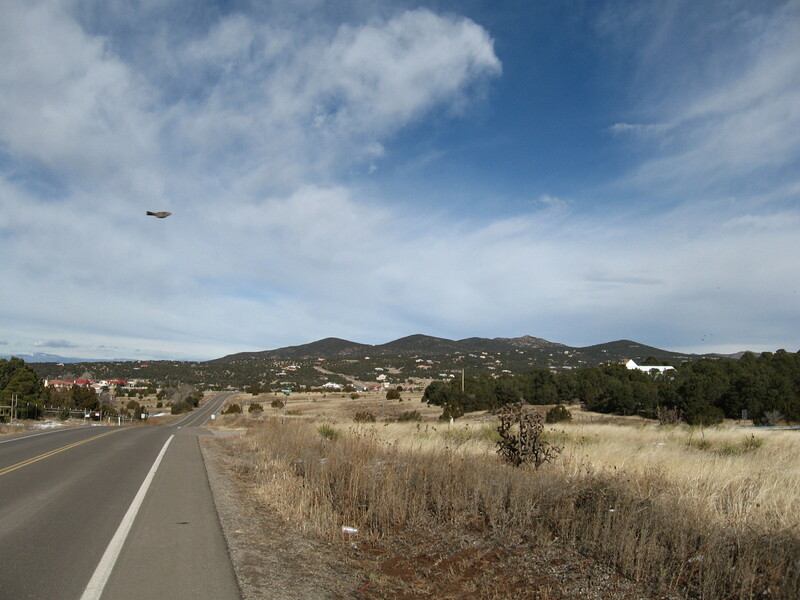 Route Description: I-40 multi use trail from Los Altos Skate Park for three miles. 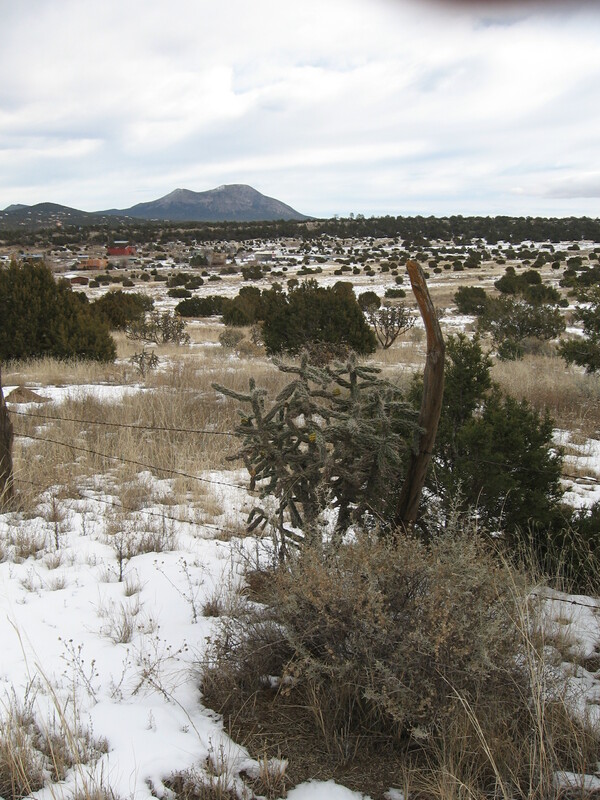 No motorized traffic and no intersections, with underpasses of the major intersecting roads of Eubank and Juan Tabo. A little known gem of a trail, with planned continuity and connectivity all the way across the city paralleling I-40. Tijeras Canyon Rd, or Old Rt. 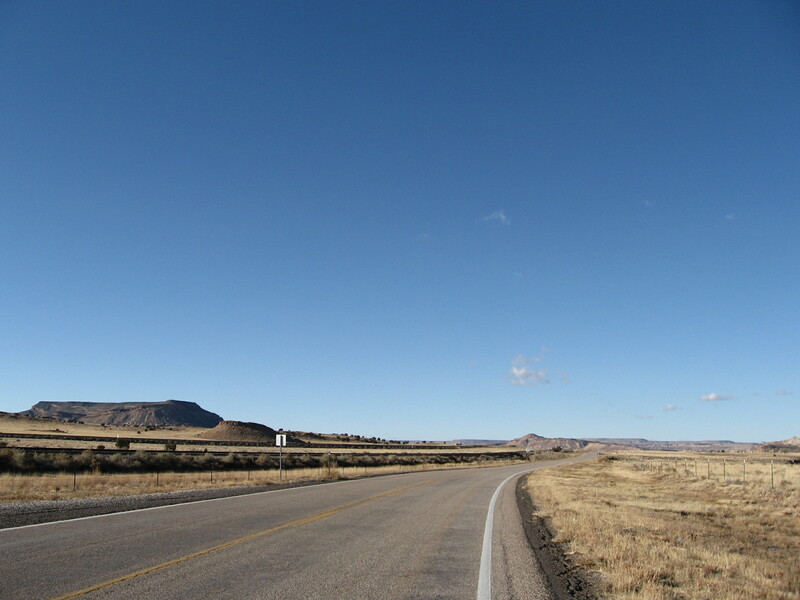 66, or NM 333. 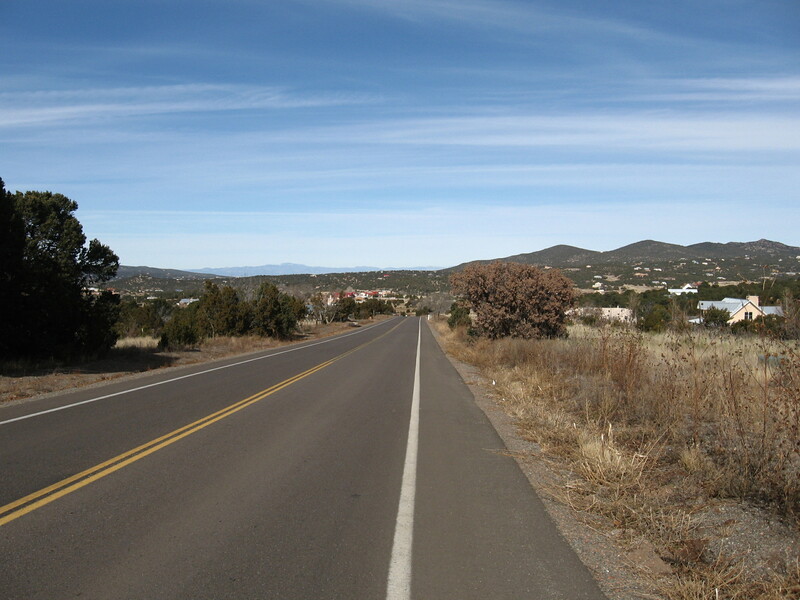 I take this for 7-8 miles through the Village of Tijeras, past 14 North, taking a left on N. Zamora Road. 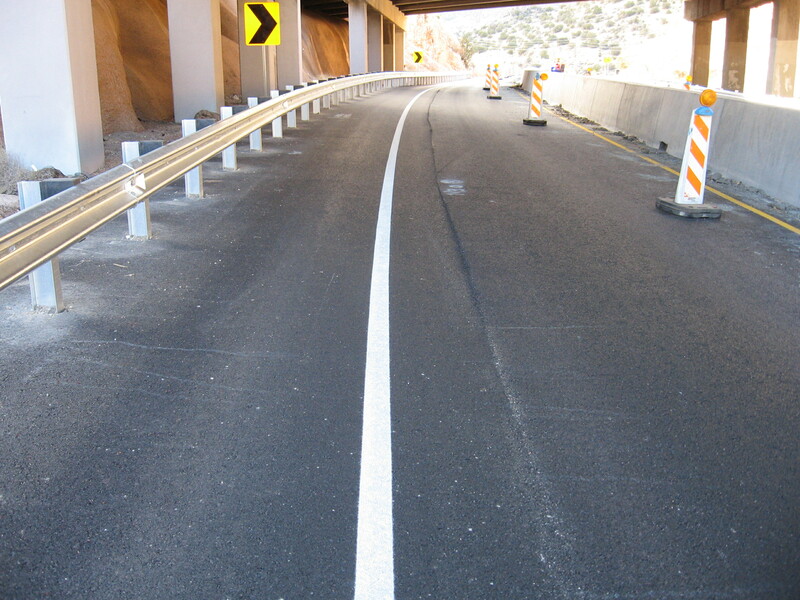 Tijeras Canyon Road has generous shoulders and is freshly repaved. 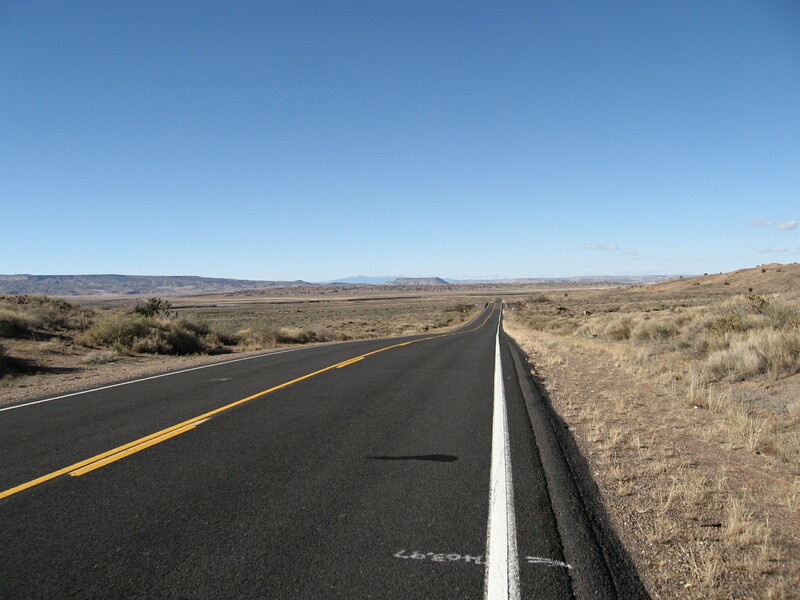 This road gains just over a thousand feet of elevation in 7 miles over undulating terrain. When there is wind in the area, it is windiest here in the canyon. This is a challenging ride. 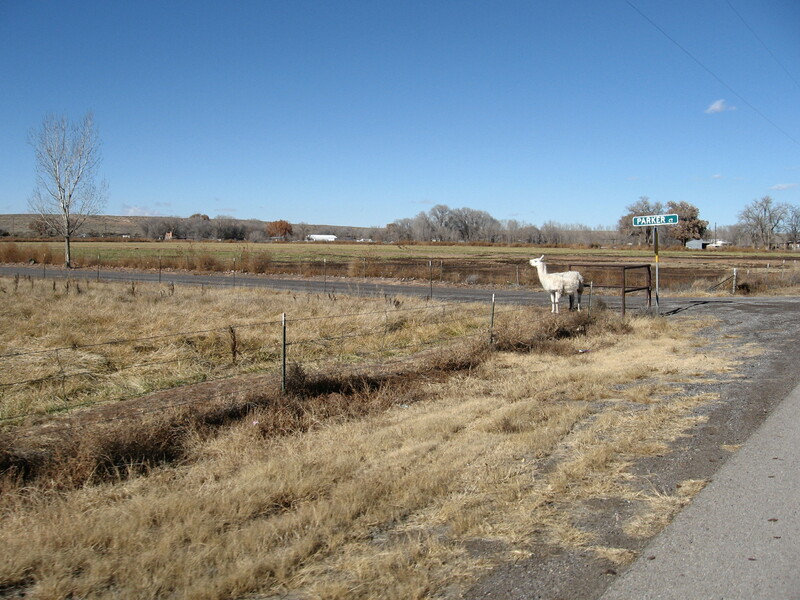 N. Zamora Road. This parallels I-40 on the north side. 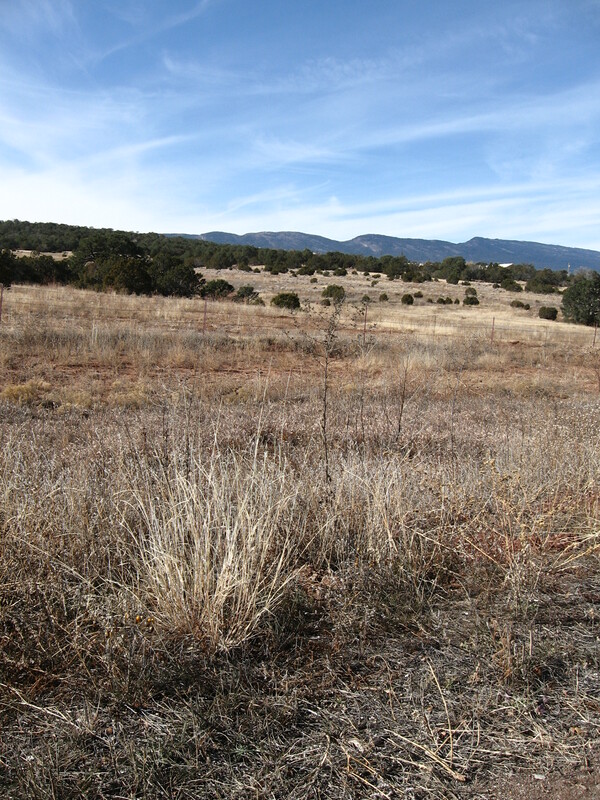 Take it just over a mile past Tijeras Estates. The road eventually turns to dirt and dead ends past where this route turns off so there is no through traffic. Take a left on Gutierrez Canyon Rd. Gutierrez Canyon Rd. exudes bicycling charm. On these roads out here I see all kinds of cyclists, including neighborhood riders, the only uniformity between them being the huge smiles of satisfaction in the moment on their faces. This is one of the best bicycling roads imaginable. After several miles it turns into Rider Rd. and eventually T’s at Frost Rd. Take a right on Frost Road and follow for a few miles. Frost Road has a nice bike lane and traffic that is used to bicyclists. Take a right on Vallecito Dr. 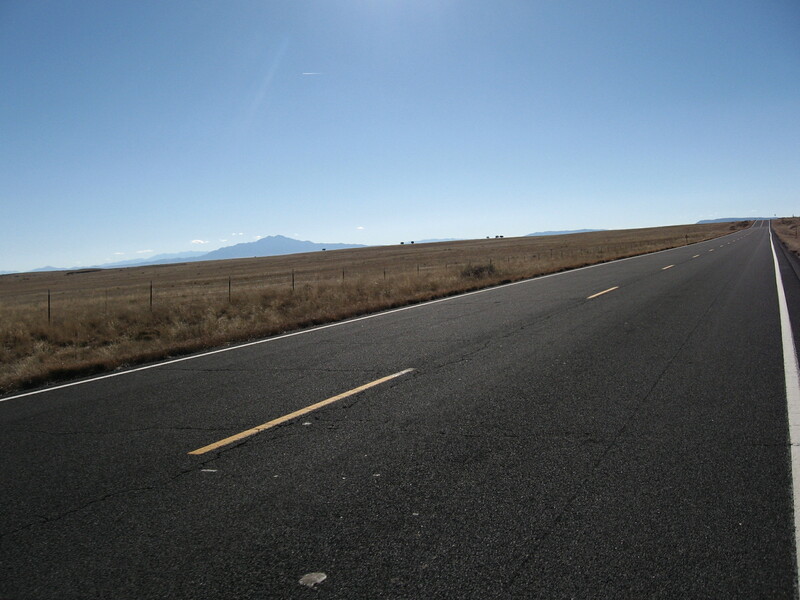 This road has smooth pavement, light traffic, a bike lane, and great views of rural estates and the Sandia Mtns. After a mile or so take a right on Meadow Dr. More of the same country grandeur, splendor and laid back content feel. You just can’t believe how good the bicycling is here. Finally take a right on Sedillo Hill Rd. and that returns you to old Rt. 66. Follow West back to town. This ride from my place in Albuquerque east on Rt. 66 to the East Mountains astounds me with the confluence of diverse land types that make this area so exceptional. You can see a great deal in a relatively short two hour ride. 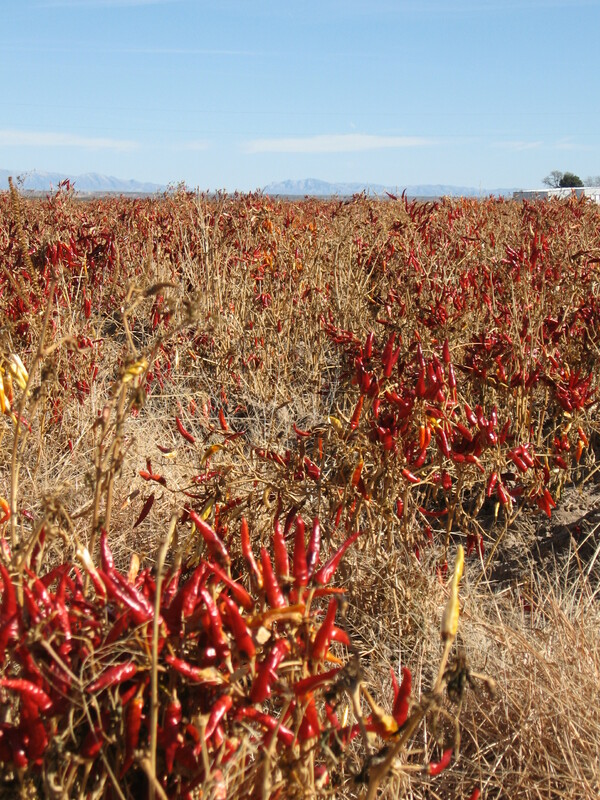 To be able to experience the contrast from leaving New Mexico’s urban heart and largest city, and immediately being in rural landscapes that have the character, living styles, and topographies, the warm charms of New Mexican countryside. You can be taken in by the unassuming and accepting character of the people. This is a real treasure. 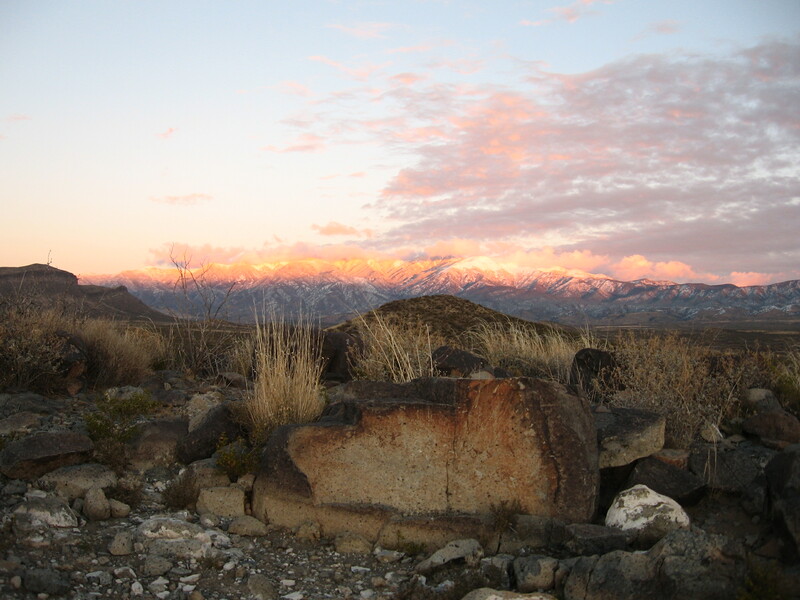 The openness of the desert terrain. The human communities. The good roads. 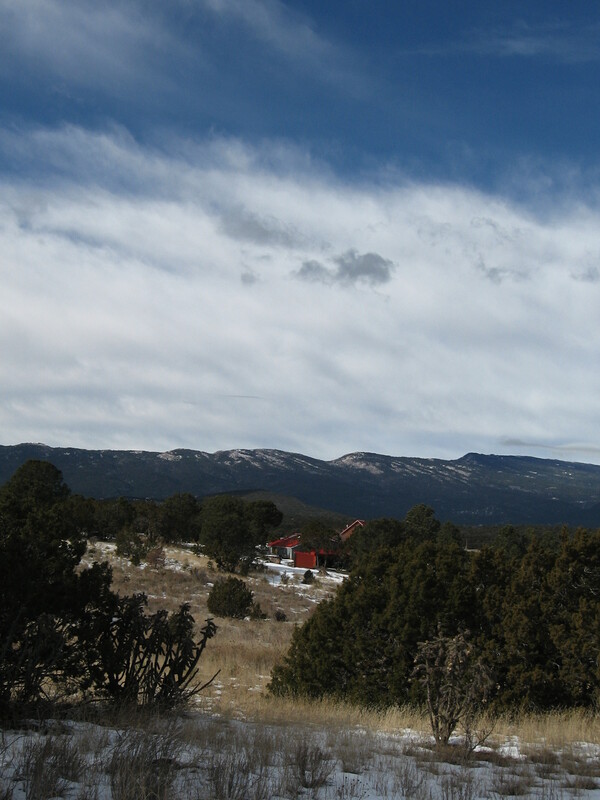 The breadth and expansiveness from the desert terrain to the jagged ridgeline of the Sandias to the far away peaks in the Jemez Mountains, this place is awesome. A basic bike ride connects us to it all. The East Mountains Loop is a great ride. This entry was posted in Albuquerque, bicycle rides, Bike Sense = Design & Education, exploring by bike on December 9, 2014 by bikeyogiblog. For the upcoming Greater Albuquerque Bicycle Advisory Committee meeting I was asked to document the New Mexico Dept. 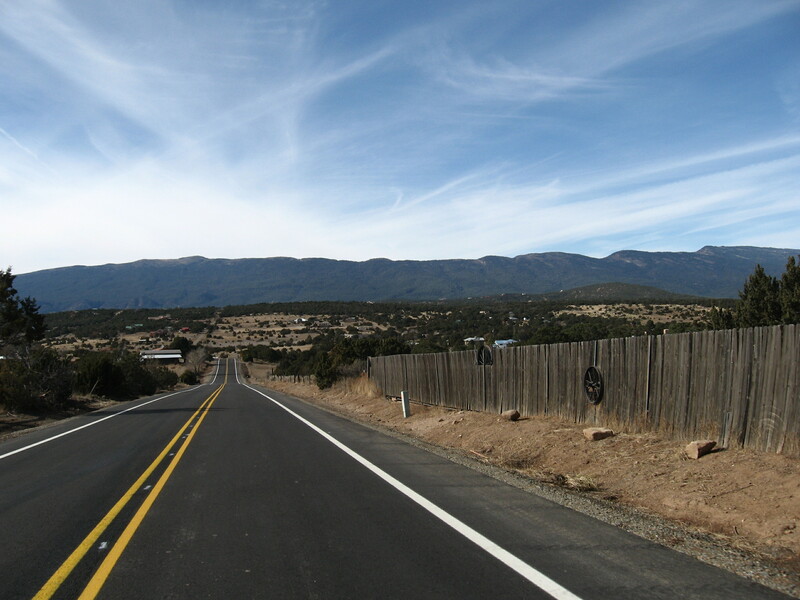 of Transportation repaving project on old route 66 from the Albuquerque city limits extending east for five miles towards the village of Tijeras. 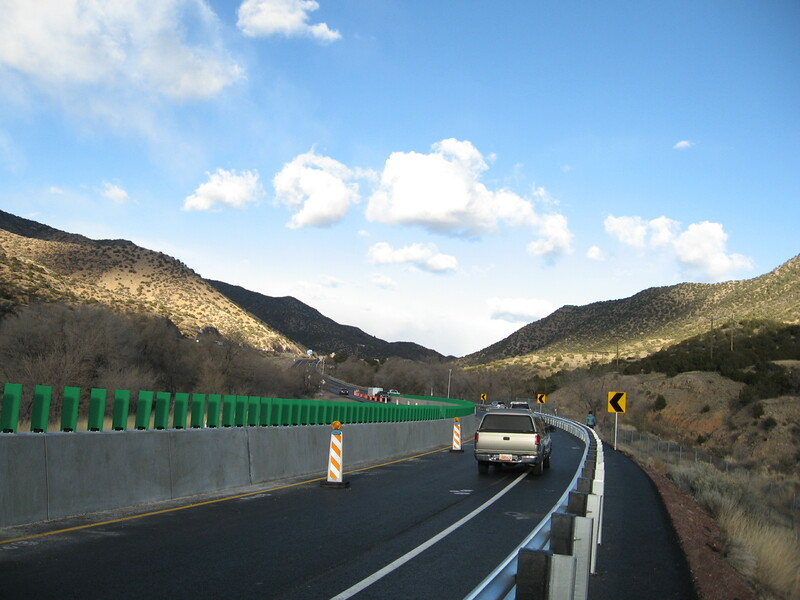 We hope to foster constructive dialogue and set a positive example for a successful project in terms of balancing safety and access for all road users that we can cite in upcoming NMDOT long range planning processes. 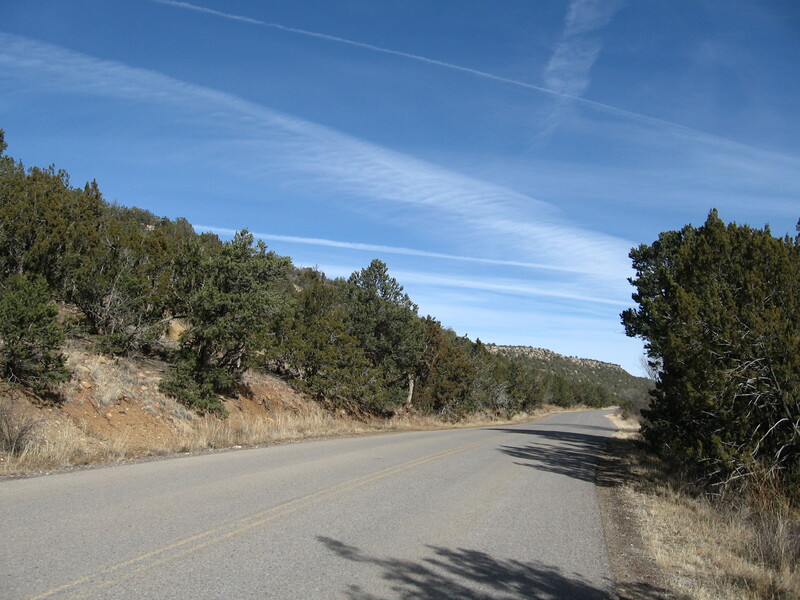 * Tijeras Canyon Road, aka NM 333 or Rt. 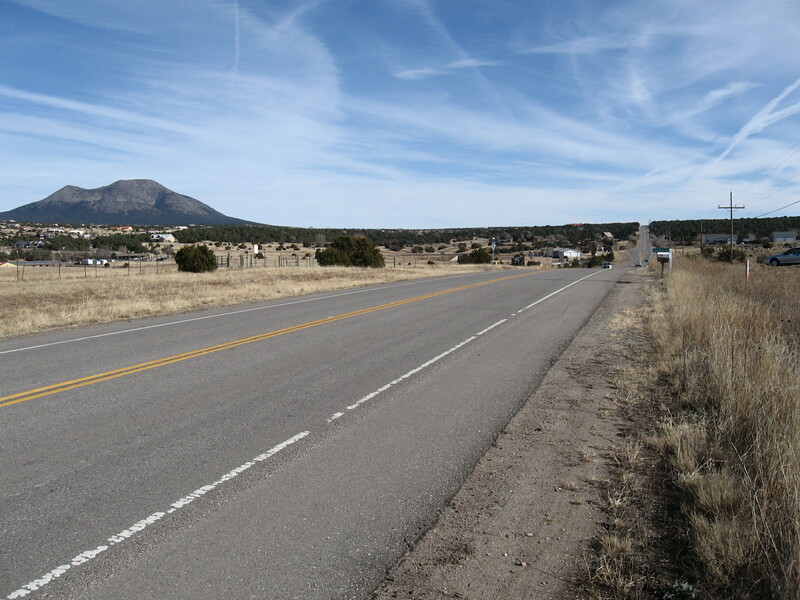 66, is a local road that parallels Interstate 40 and provides access to the rural communities of Carnuel, Monticello, and Tijeras. 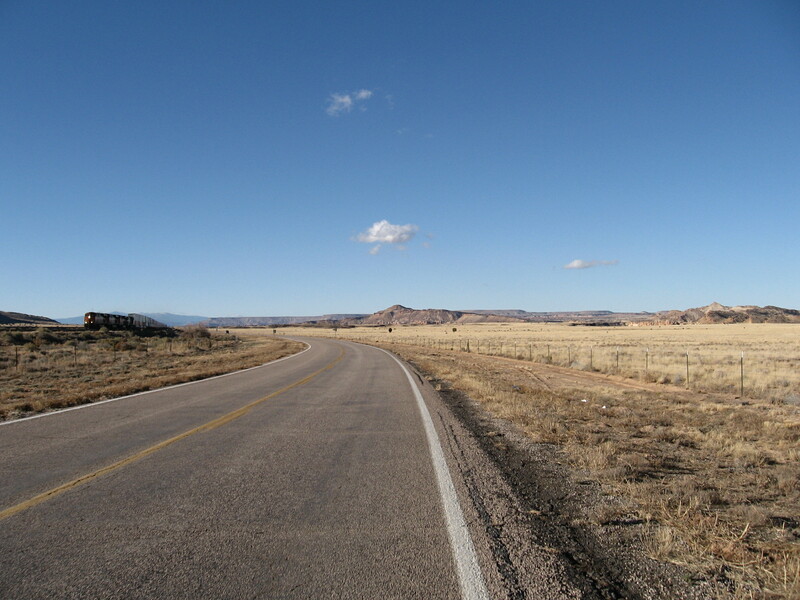 * Preserves and celebrates what is unique and cherished about New Mexico and encourages exploration via sustainable, healthy, and intimate modes of travel. * Provides easily accessible active transportation route for residents and visitors from the front door of home or the hotel. Powerful asset for promoting livability and active lifestyles. * Nationally renowned tourist travel corridor including a designated route by Adventure Cycling facilitating interregional connectivity for adventure travelers. 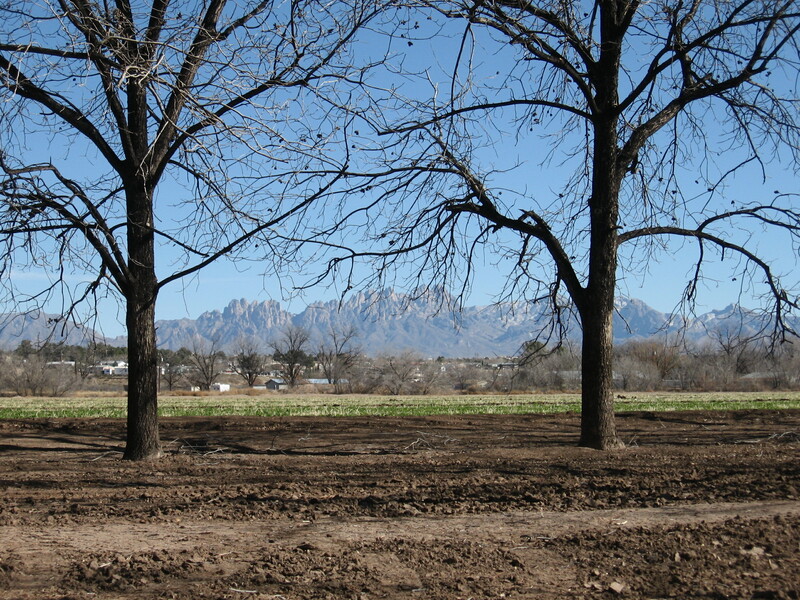 * Exceptional bike and pedestrian route interconnecting metro area with premier road cycling, mountain biking and hiking routes in East Mountains, facilitating enjoyment of the best of both worlds for residents and visitors on either side of the Sandia and Manzano Mountains. 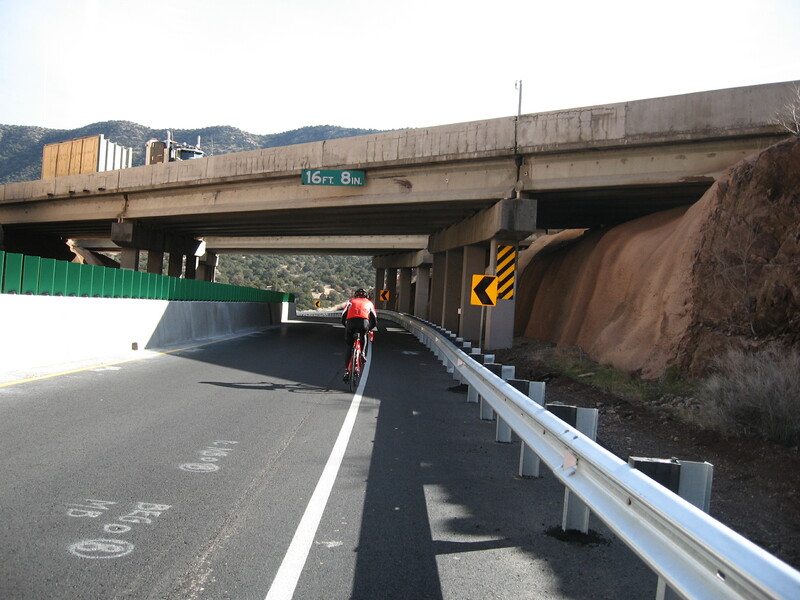 * Connects to State Bike Routes 12 (Manzano Mountains, NM 337 South, aka 14 South) and 14 (Turquoise Trail, including optional spur to Sandia Crest), and Albuquerque bikeways including the I-40 multiuse trail and the very popular Tramway Blvd NE in Albuquerque. * Makes bicycling between Albuquerque and Santa Fe feasible via the Turquoise Trail without having to utilize any interstates. 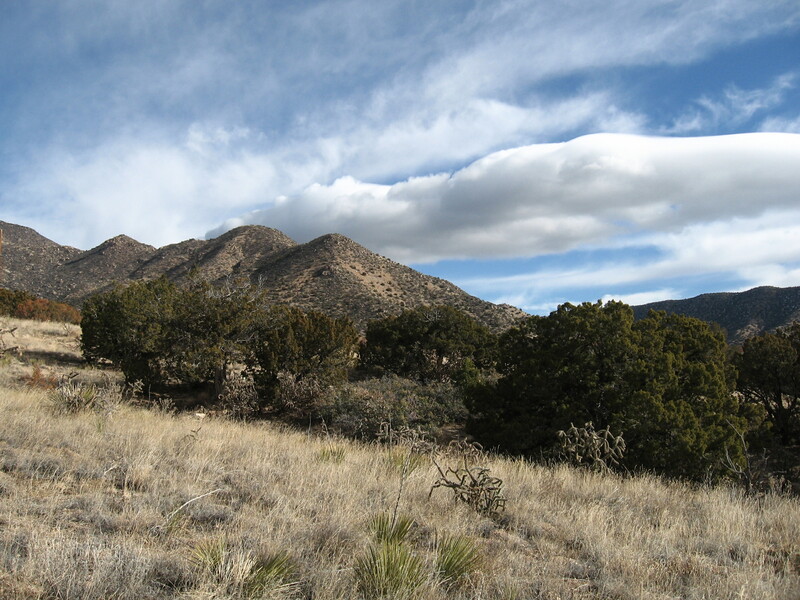 * Provides low impact travel access to Albuquerque Open Space resources in East Mountains. 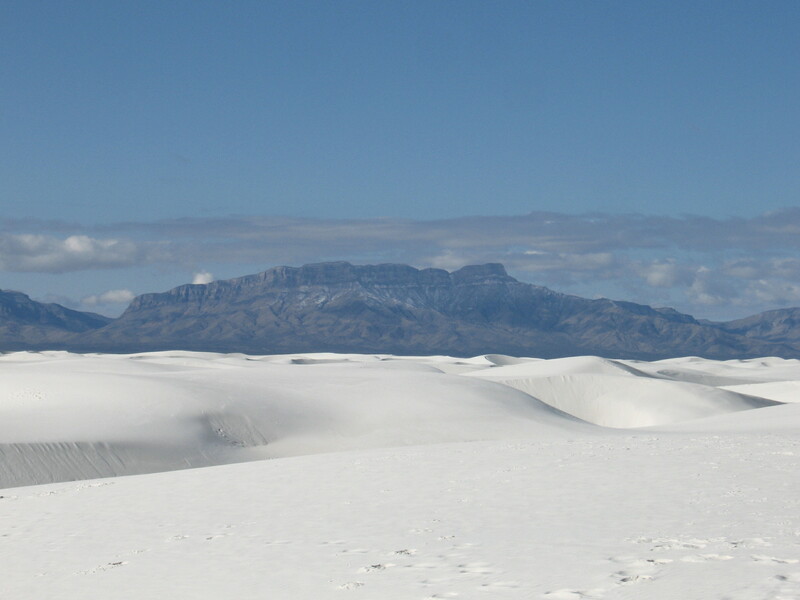 * Strengthens Albuquerque’s reputation as a great place to live and visit for people who love the outdoors. 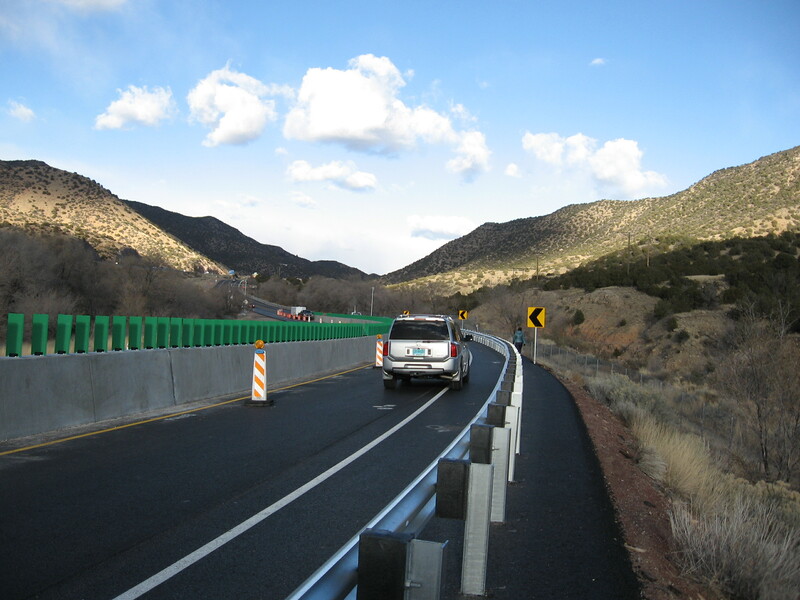 * Could the guardrail be placed further toward the roadway edge to provide more clearance for bicyclists and pedestrians who are utilizing the road shoulder for travel? The eastbound guardrail is tighter (ie has less shoulder space) than the westbound side. * Will the final pavement surfacing layer, which District 3 engineering said is forthcoming and will “provide more friction on the surface”, be suitable for bicyclists riding on the shoulder? * Will this confined stretch deter safety sensitive and beginning bicyclists from taking advantage of this facility? 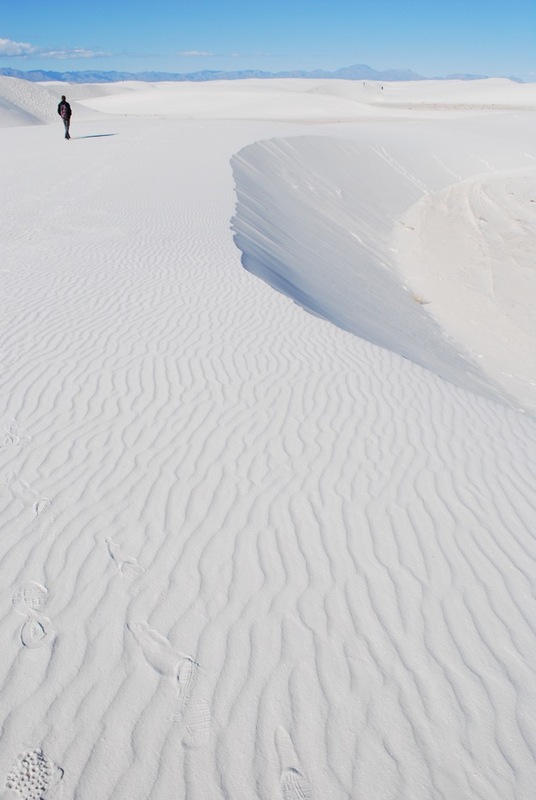 * How will factors such as wind blast–which is prominent in this canyon–and debris, ice and snow, sand and dirt, impact the ride-ability of the shoulder? * Is this facility providing sufficient clearance for wider bicycles such as hand cycles, racing wheelchairs, travel bicycles with panniers and trailers, and groups of bicyclists? * What will the speed limit be through the underpass? * Will there be road signs installed to alert road users to the presence of bicyclists and pedestrians in this underpass area? * Will there be any special lighting considerations given the shadows created by the underpass? * Will the “singing road”–the grooved pavement section designed to play America the Beautiful as automobile tires pass over it–bring cars into close proximity w/ bicycle and pedestrian traffic? * Speed limit–currently most of the road is capped at 55mph. Would 45mph be better? 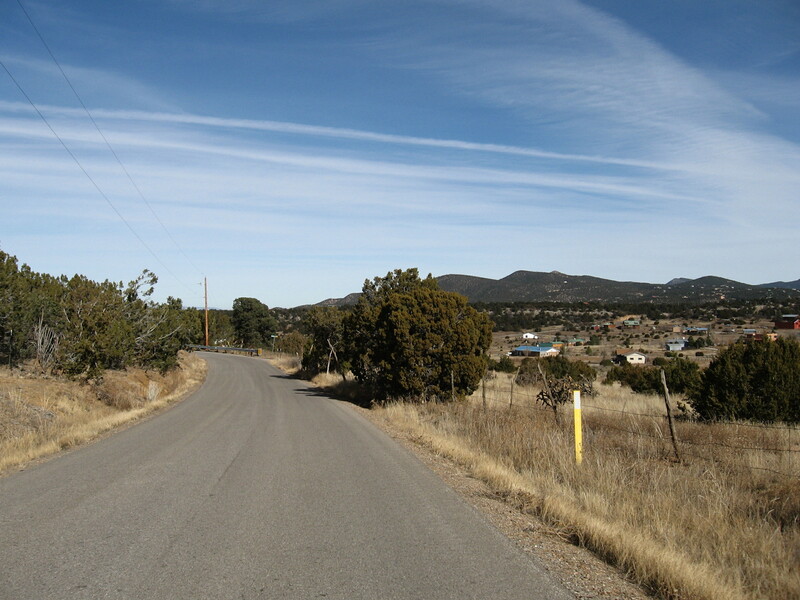 Factors to consider include: There are many intersecting driveways and side roads on Tijeras Canyon. There are mailboxes and school bus stops. There are wildlife corridors including deer crossings. Past mile marker 4 there are limited sight distances over undulating terrain. The “singing road” section has a recommended speed of 45mph. 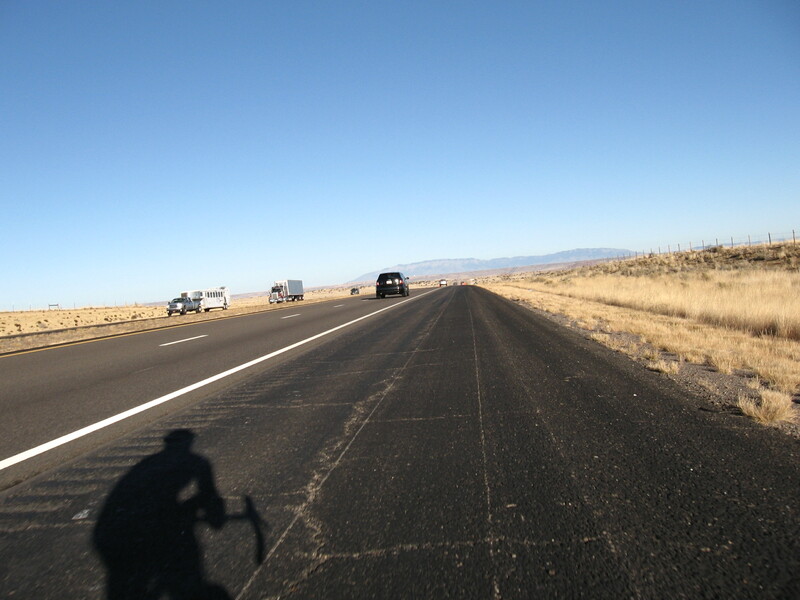 Most of the roads users are either locals, tourists who are unfamiliar with the road, and bicyclists, and Interstate 40 provides an excellent higher speed alternative for through traffic. At the underpass area, what would an appropriate speed limit be? The road curves through this section limiting sight distances. 30mph? * Consider branding this special route given its cultural, historical, and recreational significance in the course of local, regional, and national affairs. Let’s throw a party and celebrate this awesome resource! On a recent ride during winter conditions I made new observations and snapped a few more photographs (below) to document winter conditions. The first general observation is that there is not a reduced speed limit going into the underpass. Traveling westbound there is a curve warning sign with a recommended speed limit of 30mph. Traveling eastbound there is no warning sign that there is a curve with limited sight distances, nor are there even any signs recommending a reduced speed below the limit 55mph. This must be addressed. In my estimation this is a 25 mph section, 35mph absolute maximum, just to simply keep one’s stopping distance greater than the limited sight distance around the curves. Second, there are no warning signs to watch for people (pedestrians, pulled over vehicles, bicyclists) in the underpass. 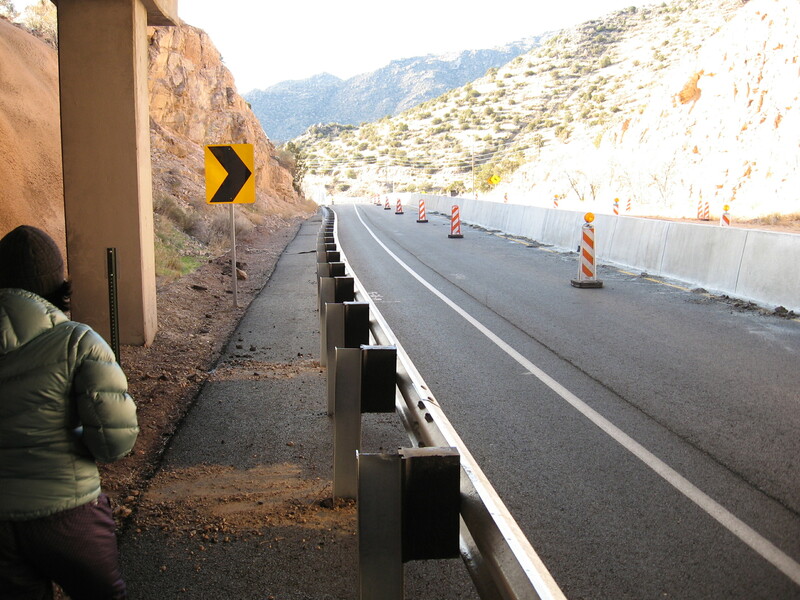 Installing signage (perhaps a “smart” flashing type that senses road users) to alert motorists to expect the presence of human beings may save lives, including motorists and passengers due to heightened concentration and more cautious driving through this section. This is after all nicknamed “deadman’s curve”! 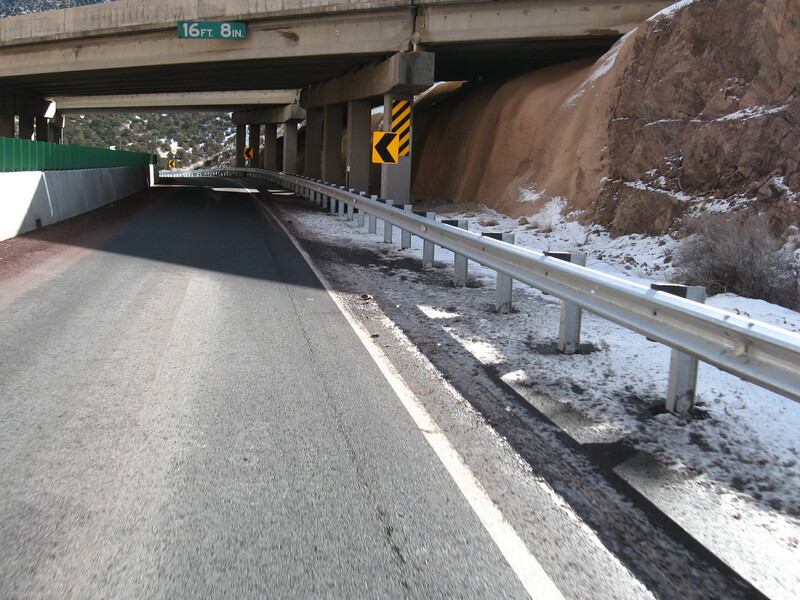 Reducing speed to be careful of bicyclists and pedestrians makes it safer for everyone.Winter wise as you can see from the pictures, the guard rail and bridge overpass structure create zones of permanent shadows causing snow and ice accumulation. This necessitates that the general travel lane be shared between bicyclists, pedestrians, and motorists. Depending on where the pedestrian and bicyclist are able to safely position themselves without subjecting themselves to dangerous right edge hazards such as accumulated debris, snow and ice, there may or may not be enough room for the lane to be shared side by side. Motorists will have to use good judgment to slow down and decide when it is safe to pass. 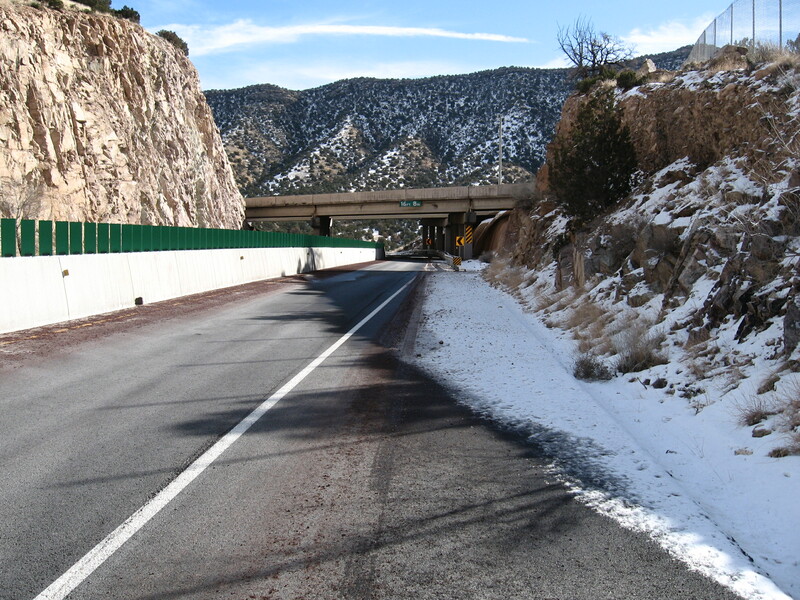 On the westbound side the center barrier creates permanent shadow and subsequent snow and ice accumulation in the general travel lane. So the general traffic pattern is necessarily utilizing the shoulder as part of their normal travel path. This creates a situation where again the motorists will have to slow down and use good judgment to decide if they have sufficient room to pass any slower moving or stopped traffic, or wait until they have exited the underpass area to make a pass. One thing to look at here may be a “smart” road that uses thermal surfaces to combat freeze and thaw patterns that can create dangerous ice hazards for all kinds of traffic. Specific maintenance techniques such as total snow removal on the road surface and shoulder in this area may be appropriate as well. This is probably a road segment worthy of special treatment. This entry was posted in ABQ bikeways planning, Bike Sense = Design & Education on December 8, 2014 by bikeyogiblog. This Sunday turned out to be the perfect day for a century bike ride. I followed the old Camino Real south on Hwy 314 winding through the agricultural landscapes of the lower Rio Grande valley. 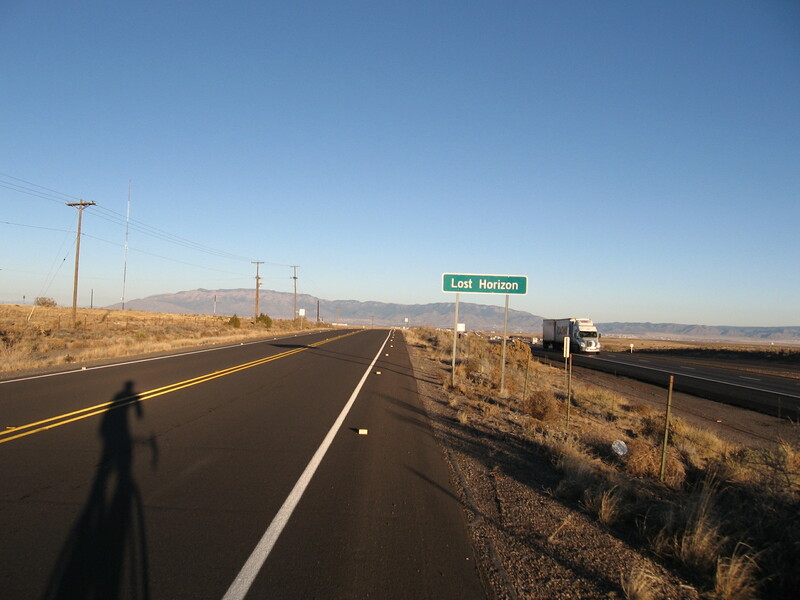 About 30 miles south of Albuquerque I turned northwest on Hwy 6 in Los Lunas. 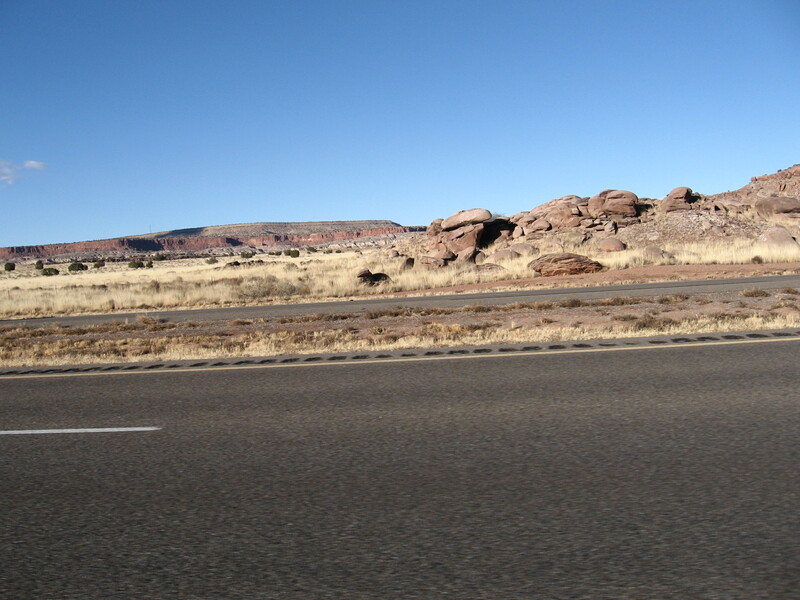 That connected me with Interstate 40 west of Albuquerque. All I had to do from there was get home again. A classic loop fueled by two convenience store stops involving starbucks, mountain dew and snickers, plus the two rice balls and banana/apple/sunflower/raisin snack bag I packed. There was a big rain storm that woke me up last night. 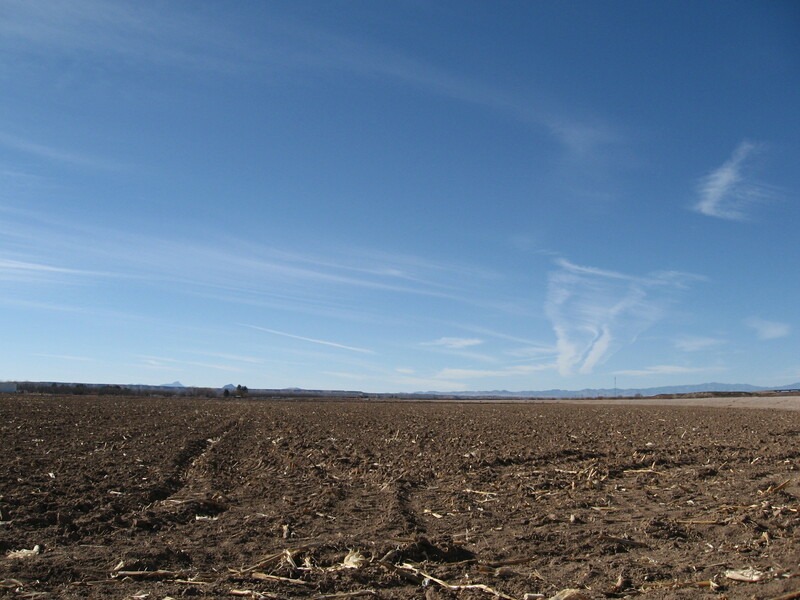 There were puddles everywhere today and the fields smelled of wet soil and fragrant desert brush. The air in the valley was soft. The open space comes through OK on these photos but remember when you’re biking the sky is your canopy in all directions. You don’t have any “A pillars” blocking your peripheral view like you do in an automobile. Mai asked me if I feel lonely out riding all day but it is just the opposite, I feel engaged and observant all the time. The vegetation textures, rock color bands, the interwoven road. Learning the terrain in this enormous space. The beauty, the true colors, the depth and lighting don’t fully come through on these photographs. 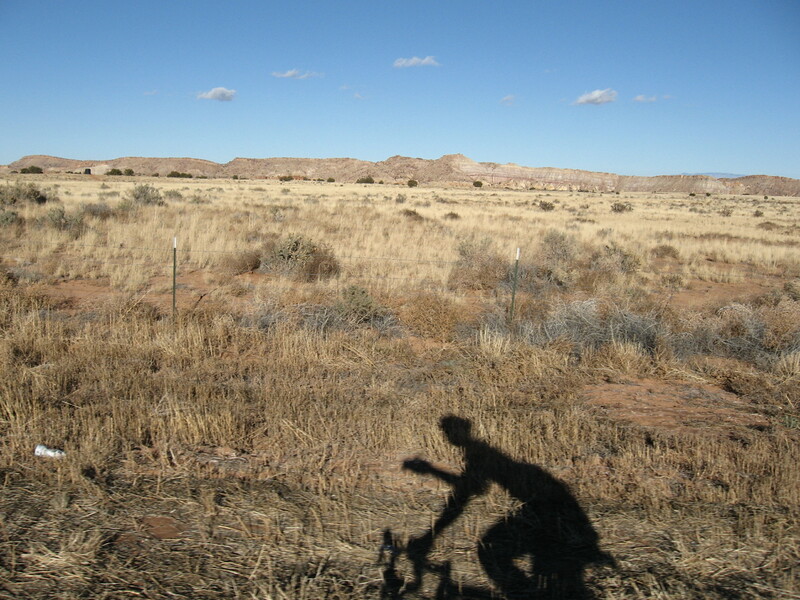 New Mexico’s landscapes are best seen by bike. What a way to get oriented! BNSF freight lines and the Amtrak Southwest Chief lines run through here. Train is on the left in this photo. 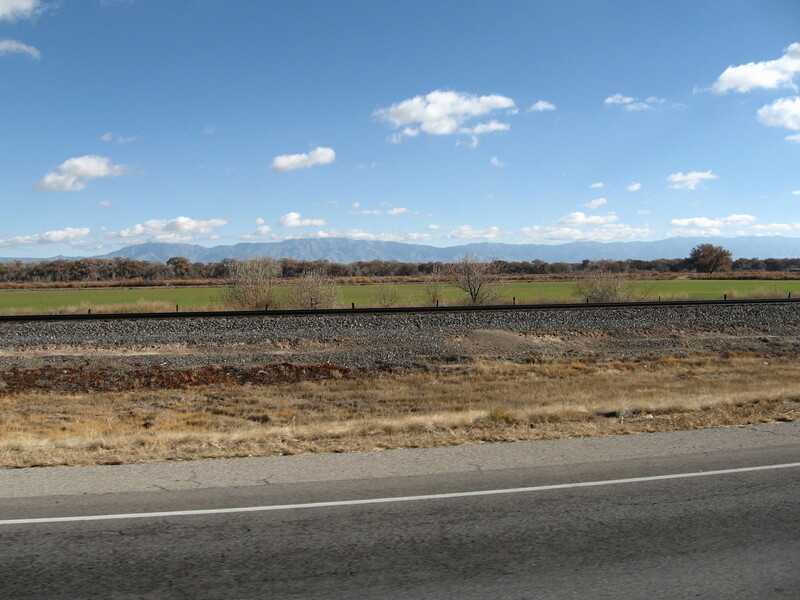 The other way to see New Mexico is by train. The Amtrak ride I hear is very good here. If we had Japanese style light rail, which is like flying on rails but even smoother than air travel, that would be awesome. The nice thing about trains is you can mellow out and let someone else do the driving, and put your full attention to the window, your friends, work, a book, the computer. 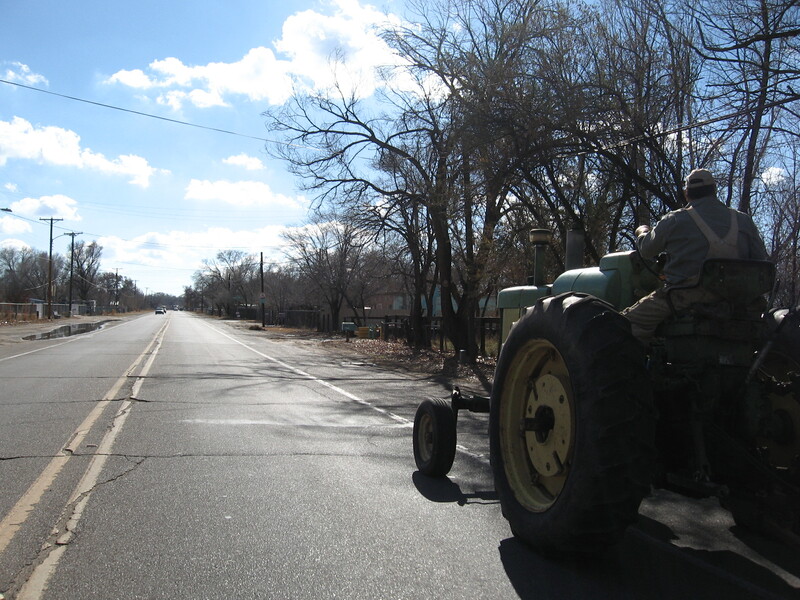 I took Central Ave down la ceja of the West Mesa and back on into Albuquerque. 100 miles of new roads today. Satisfied. 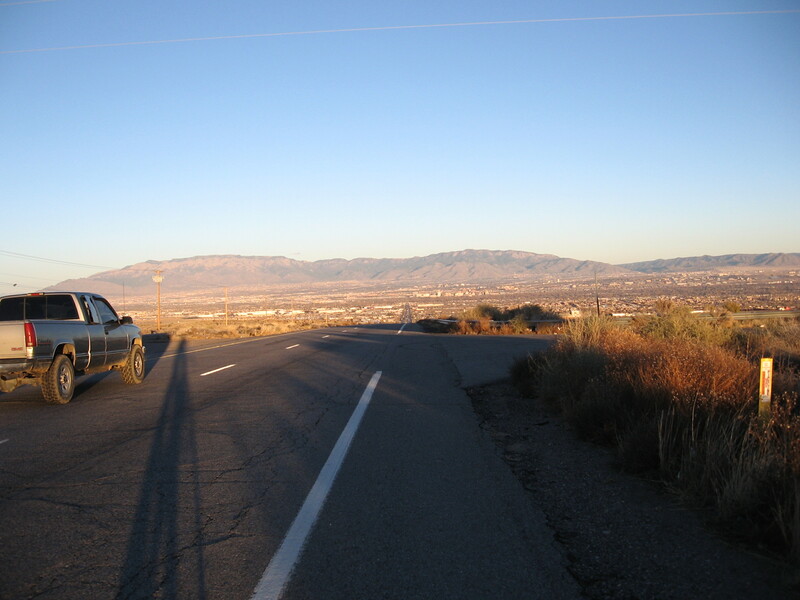 This entry was posted in Albuquerque, bicycle rides on December 7, 2014 by bikeyogiblog.